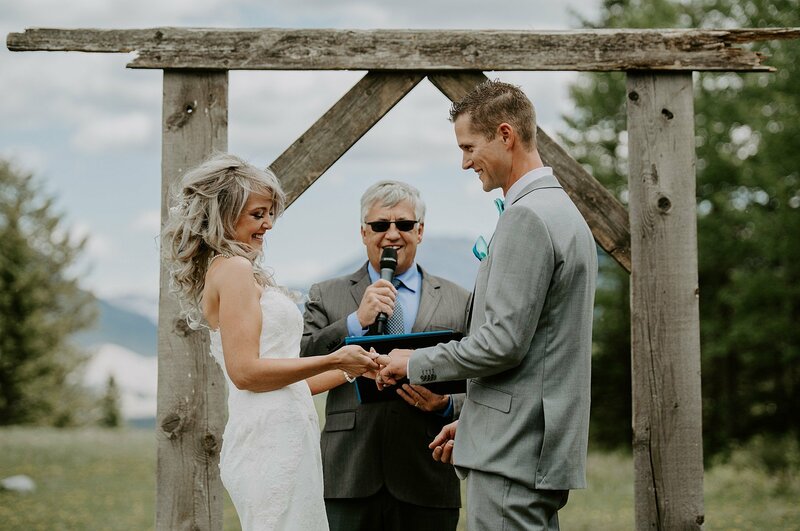 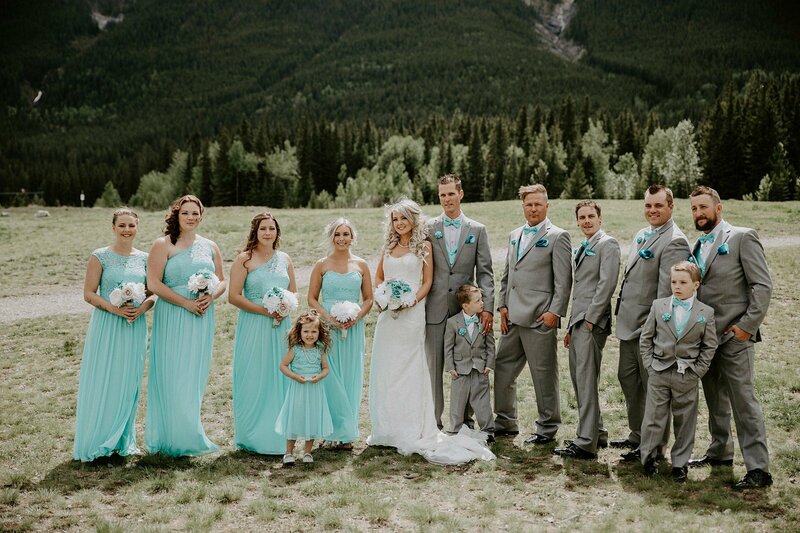 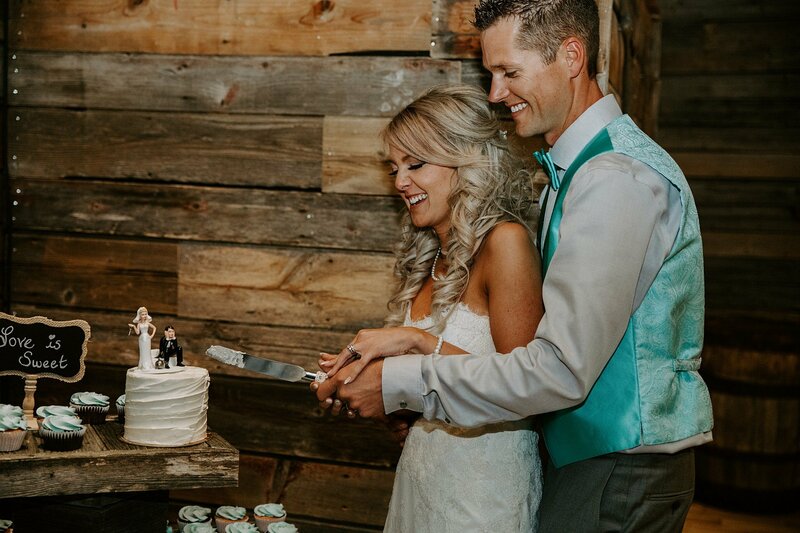 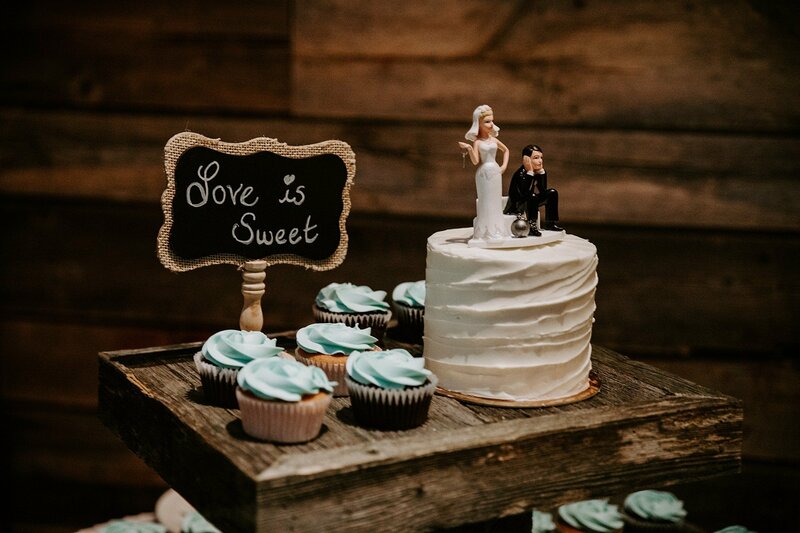 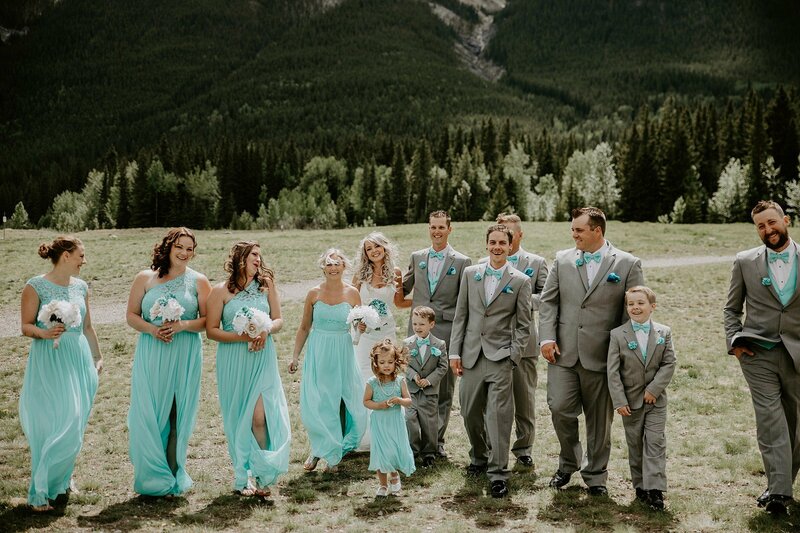 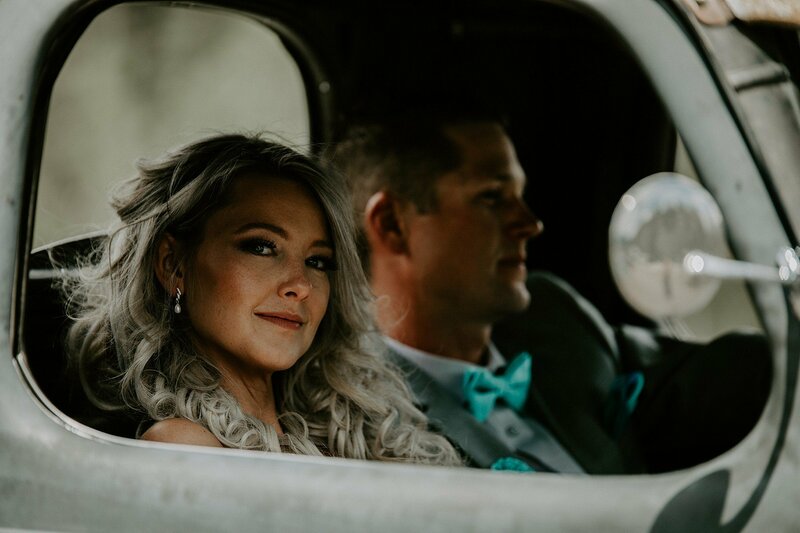 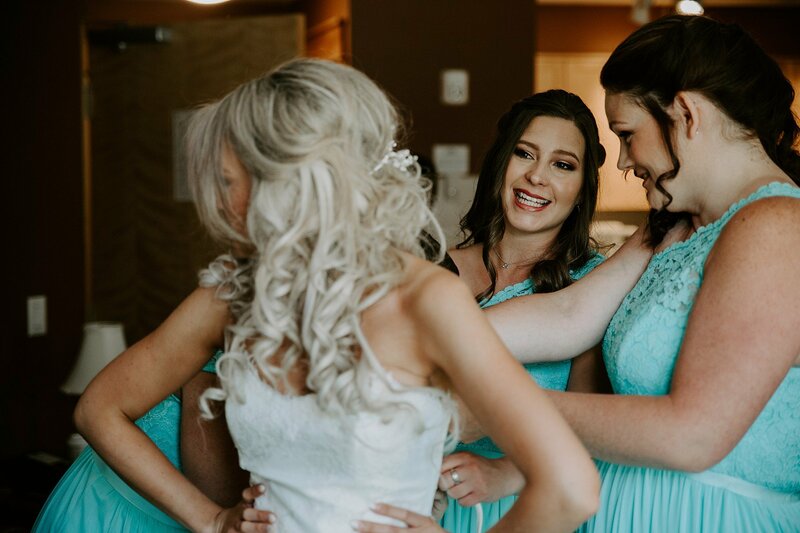 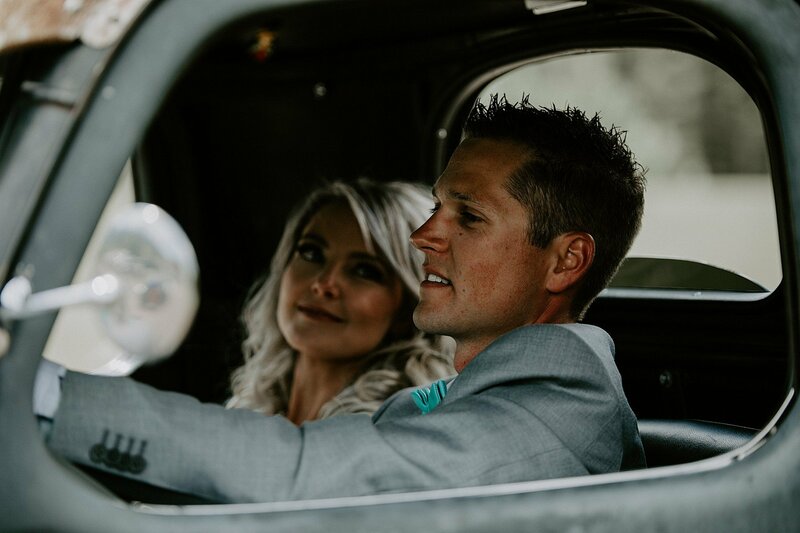 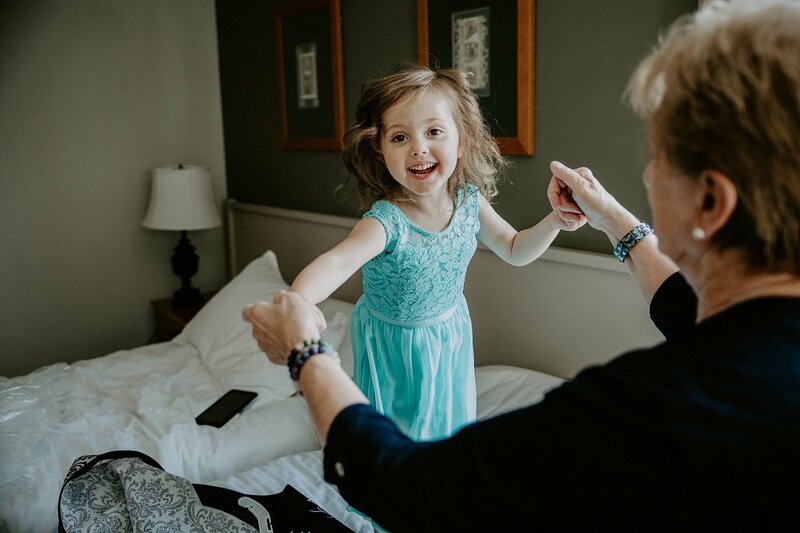 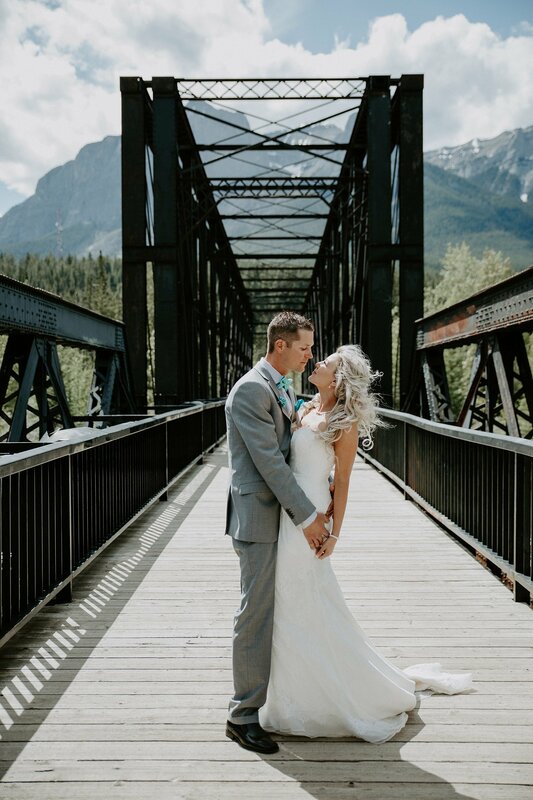 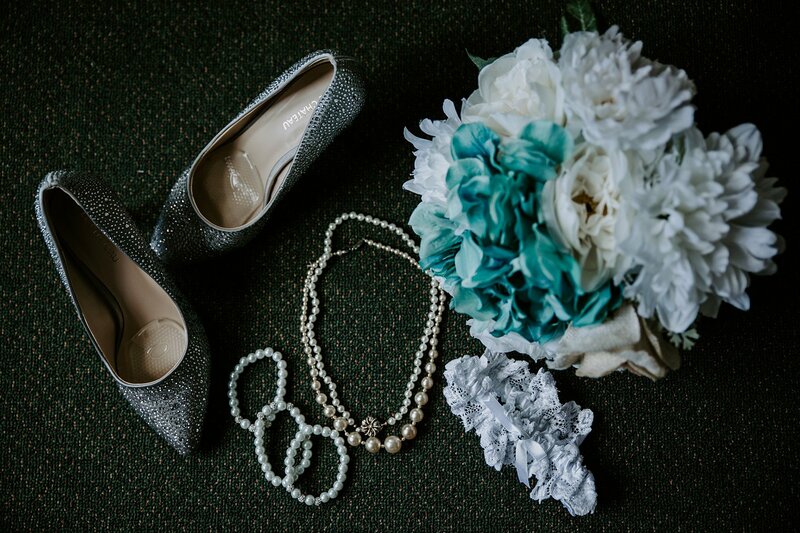 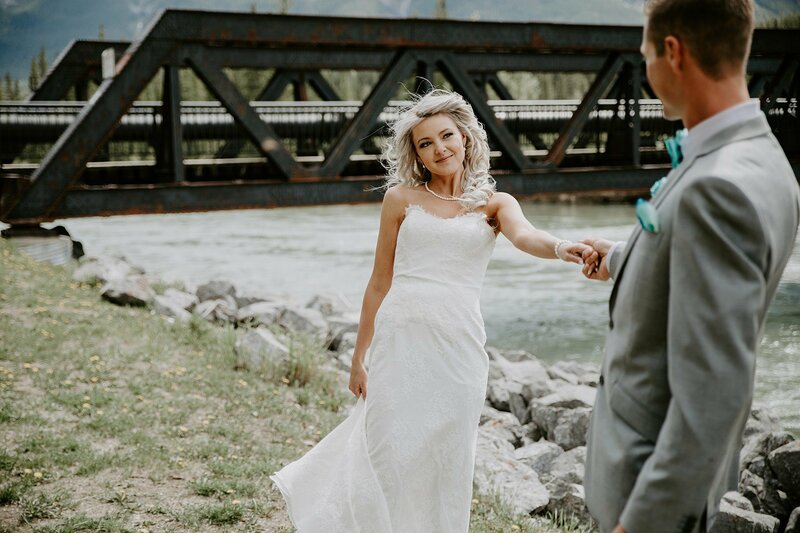 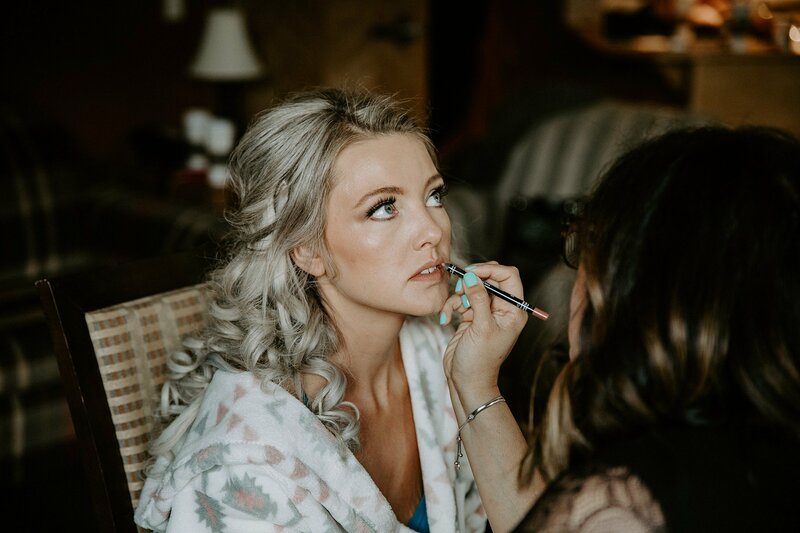 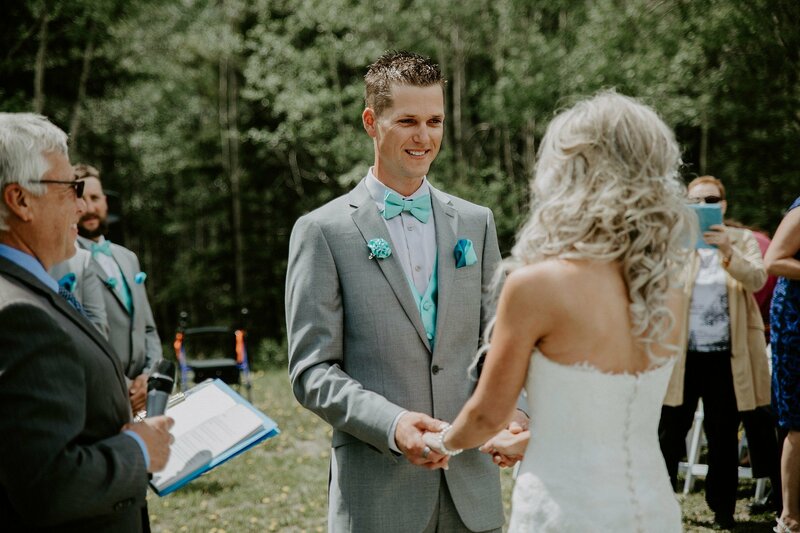 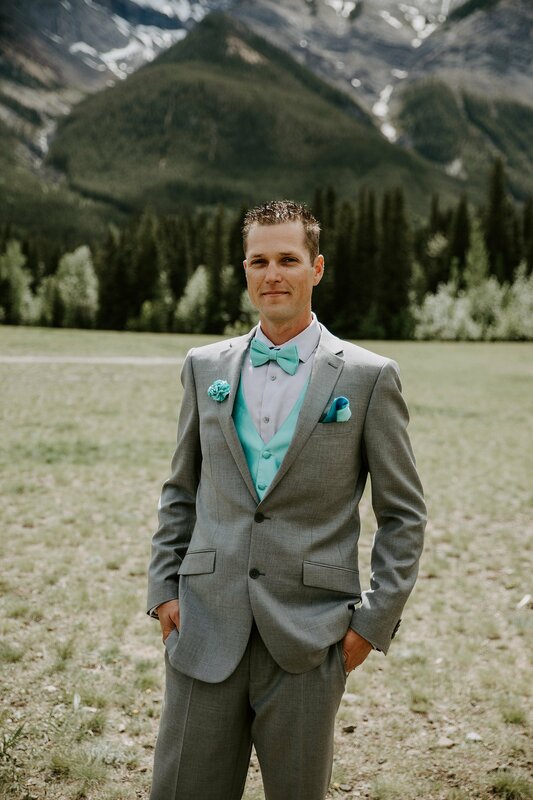 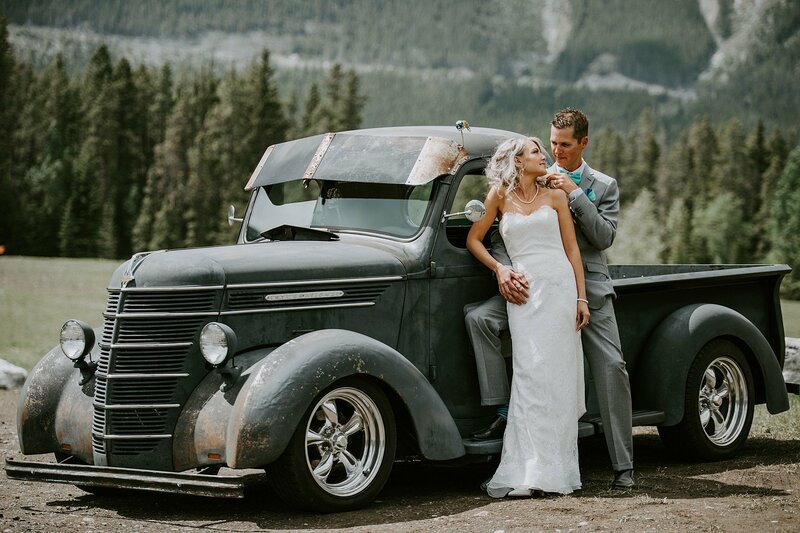 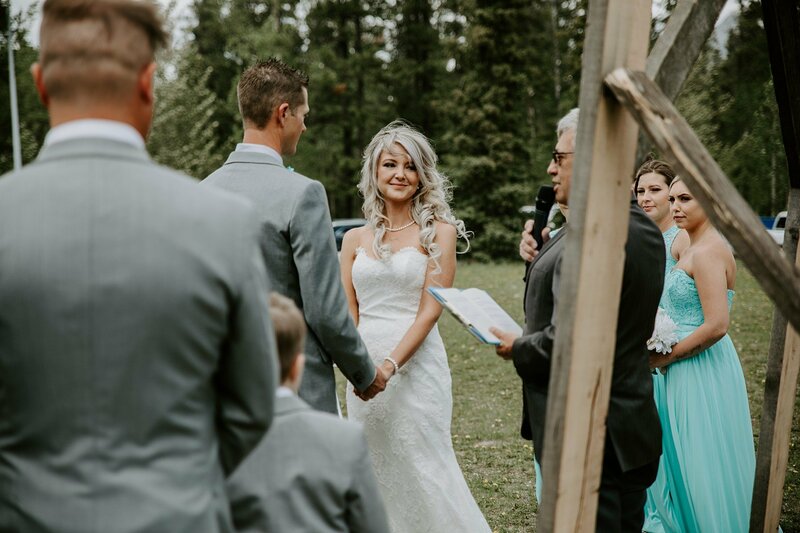 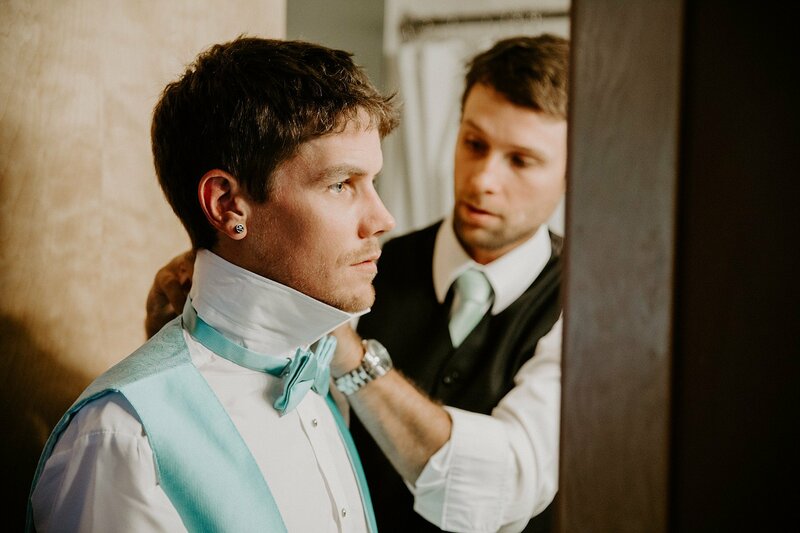 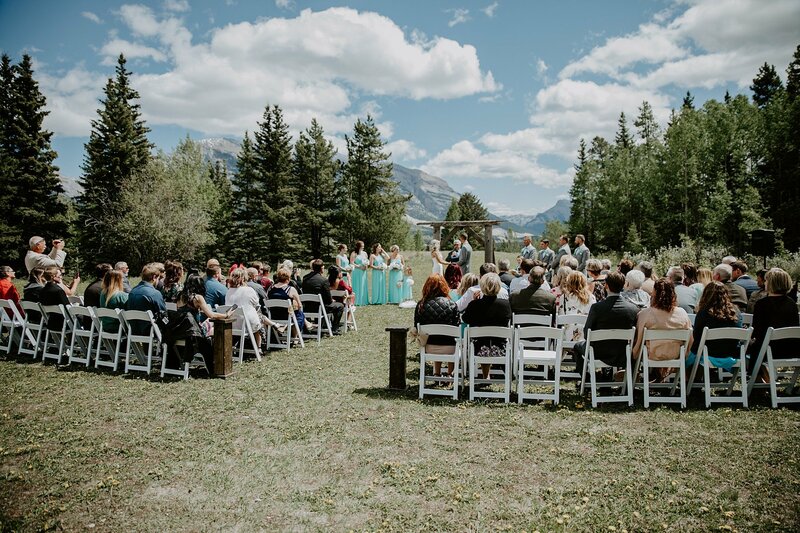 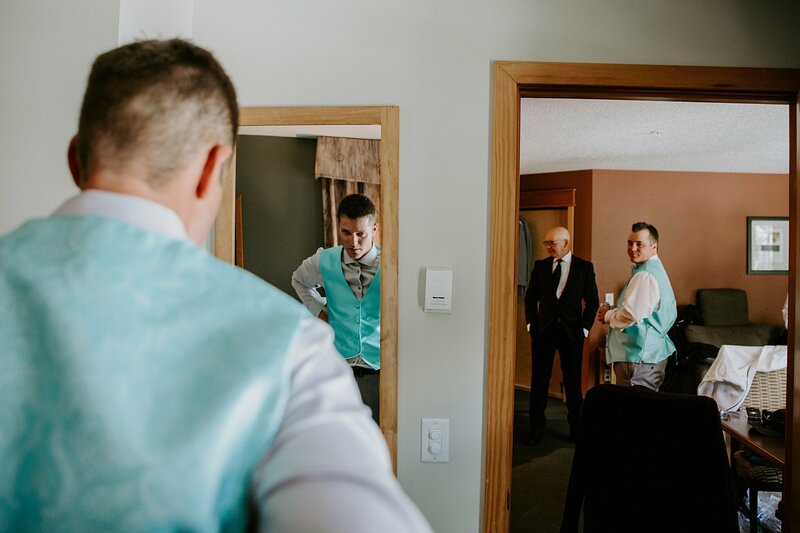 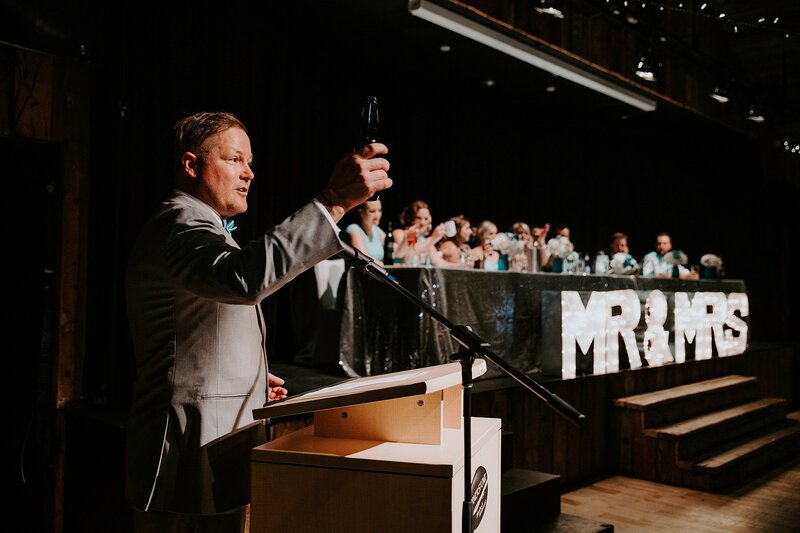 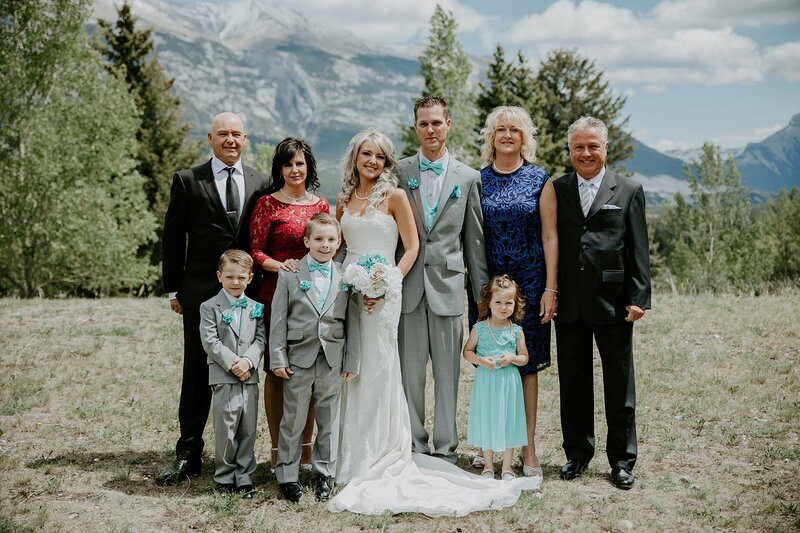 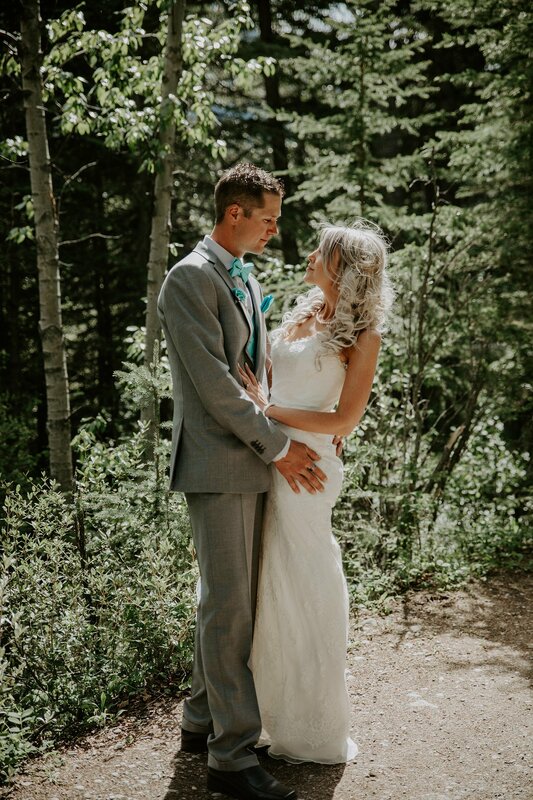 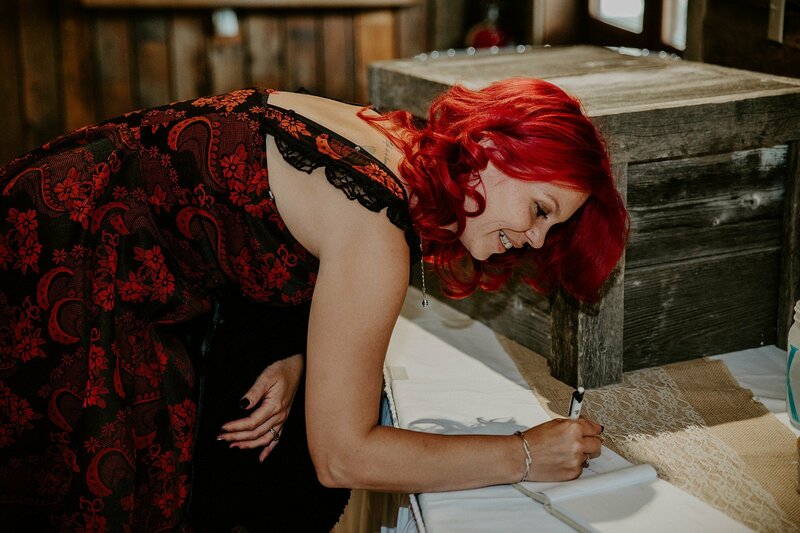 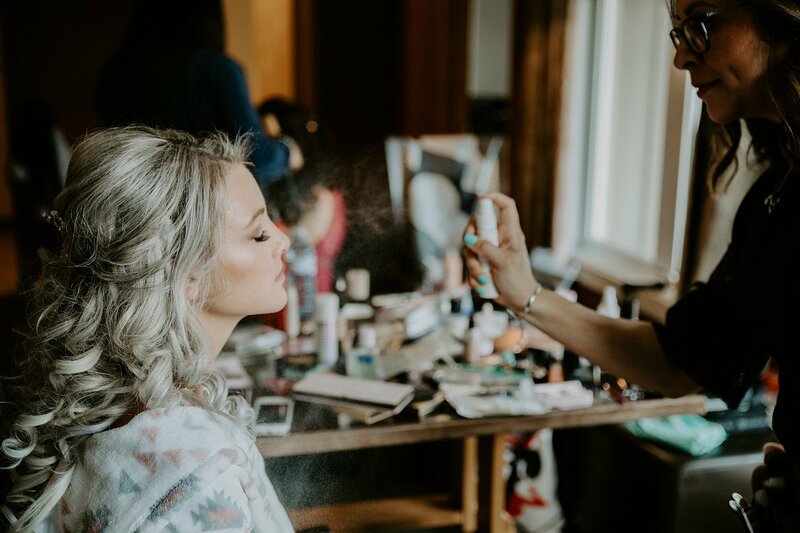 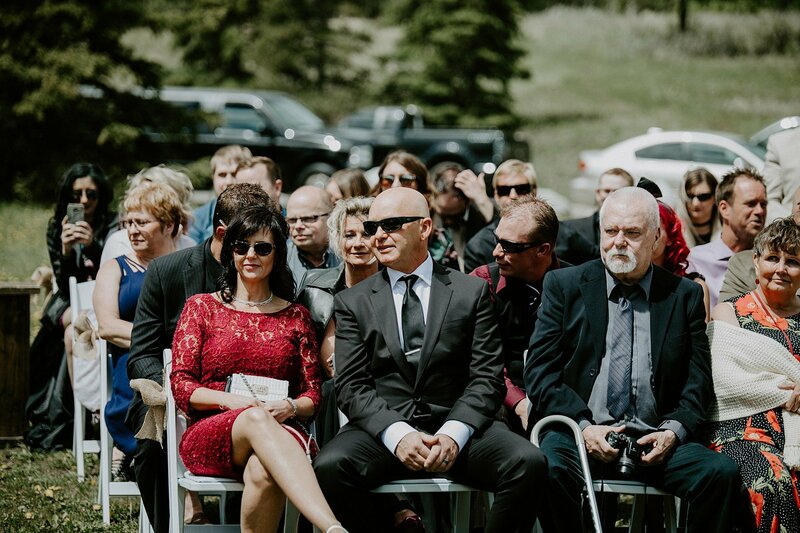 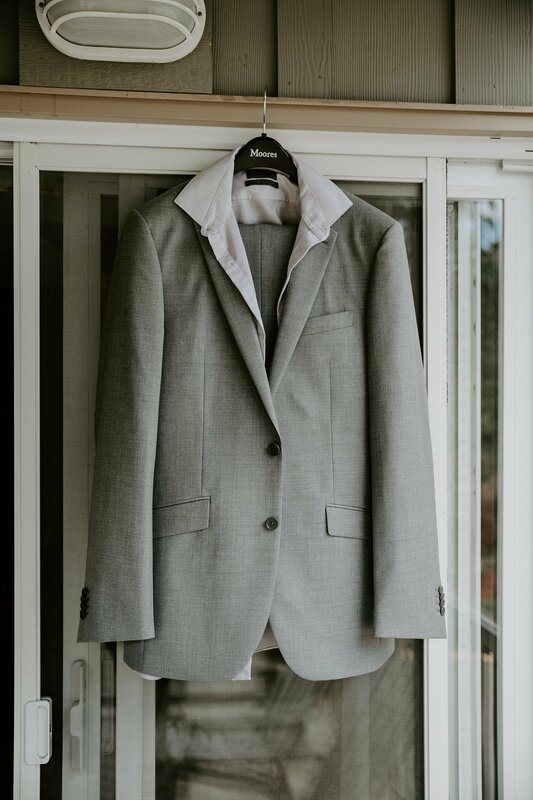 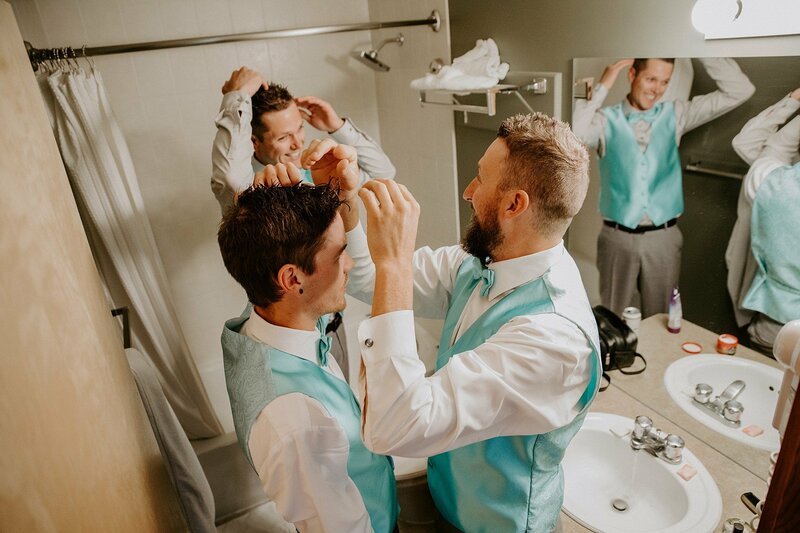 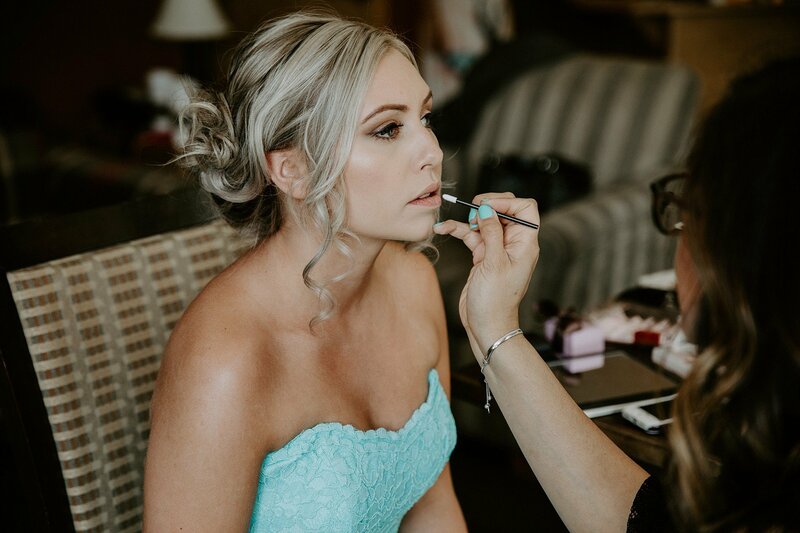 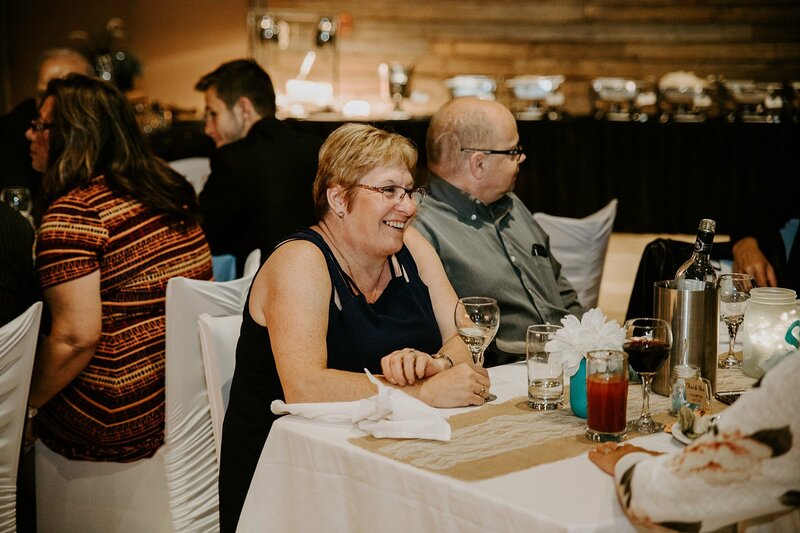 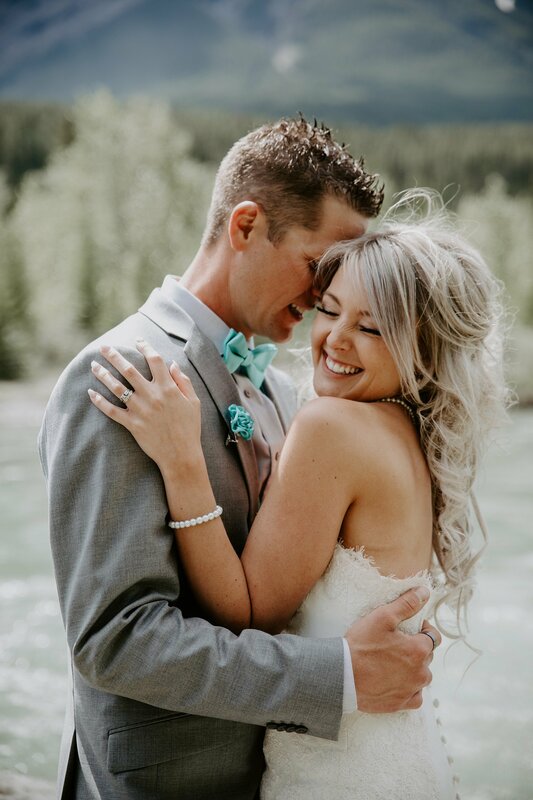 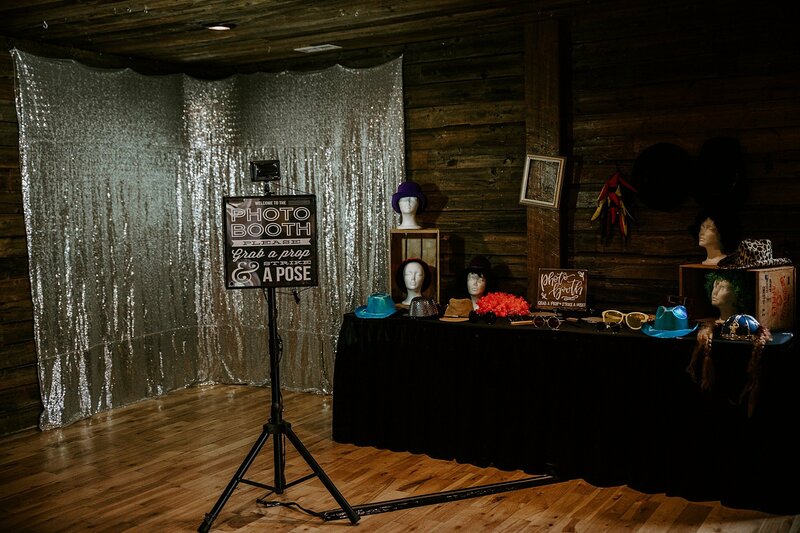 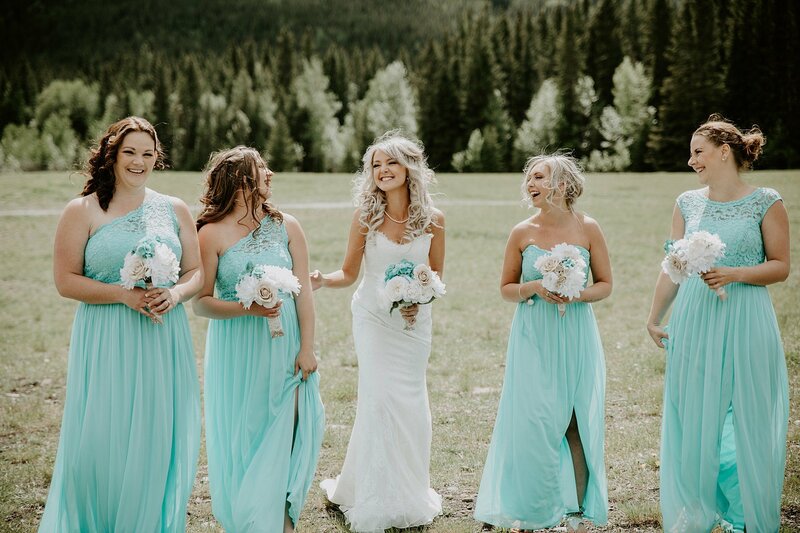 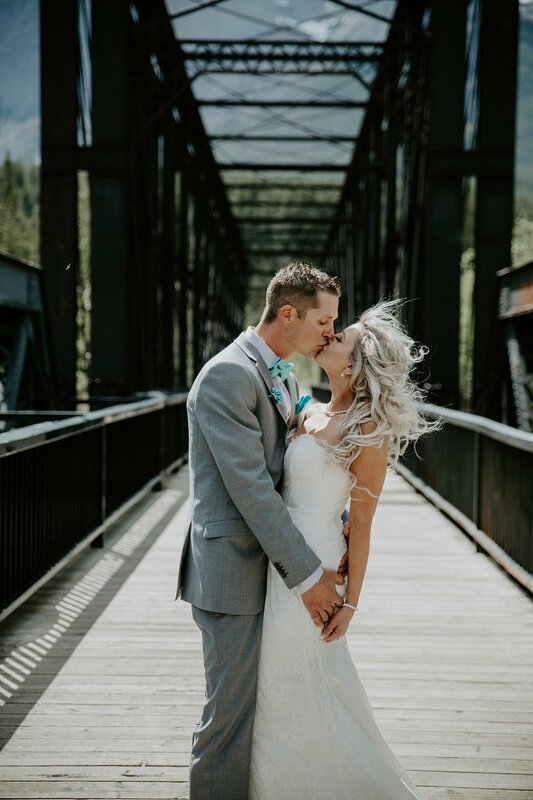 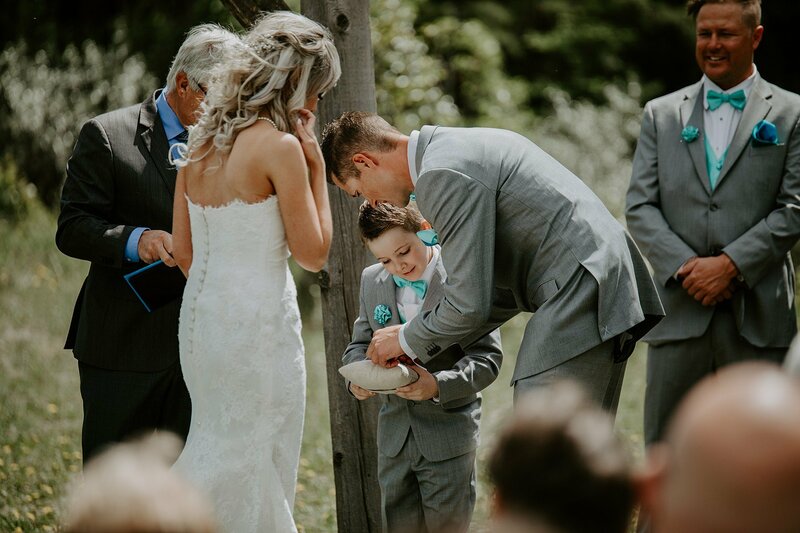 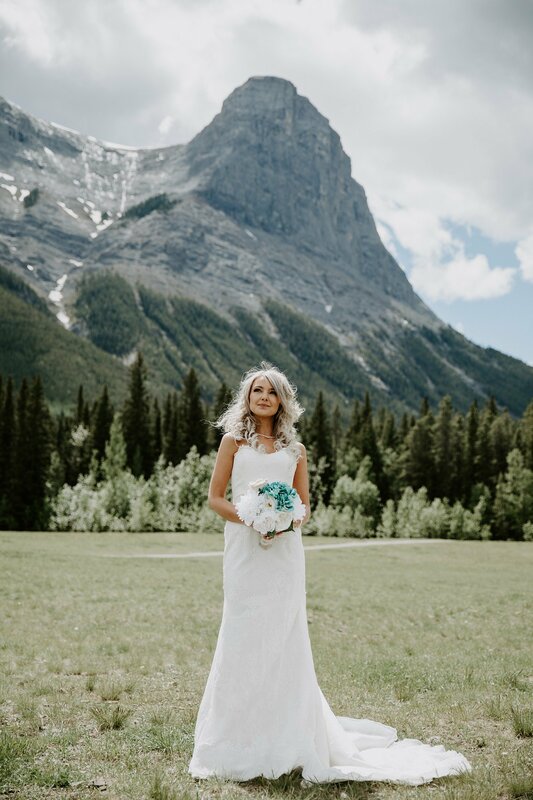 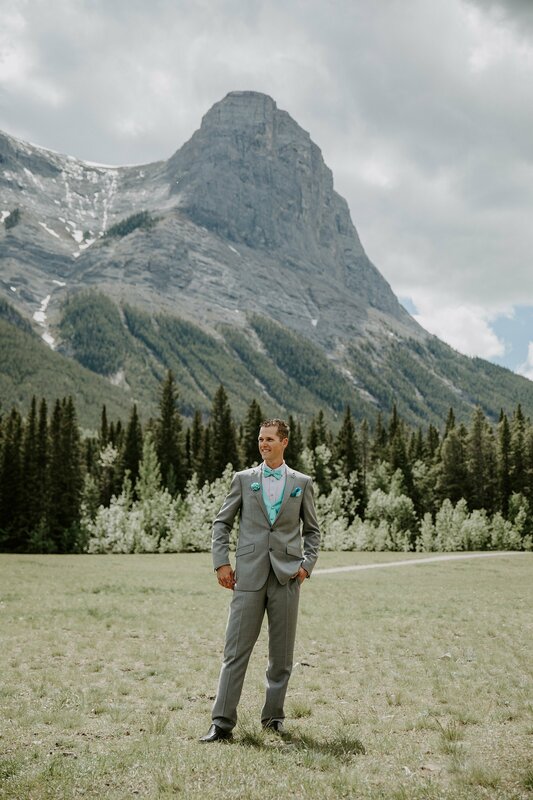 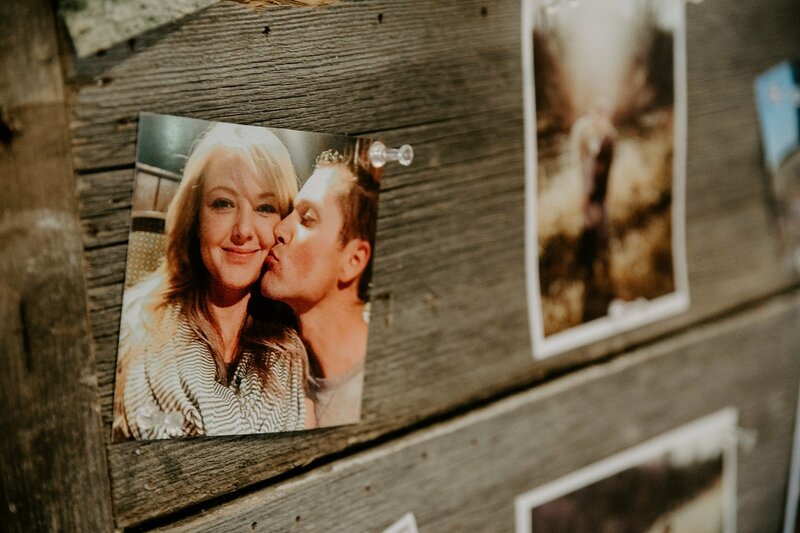 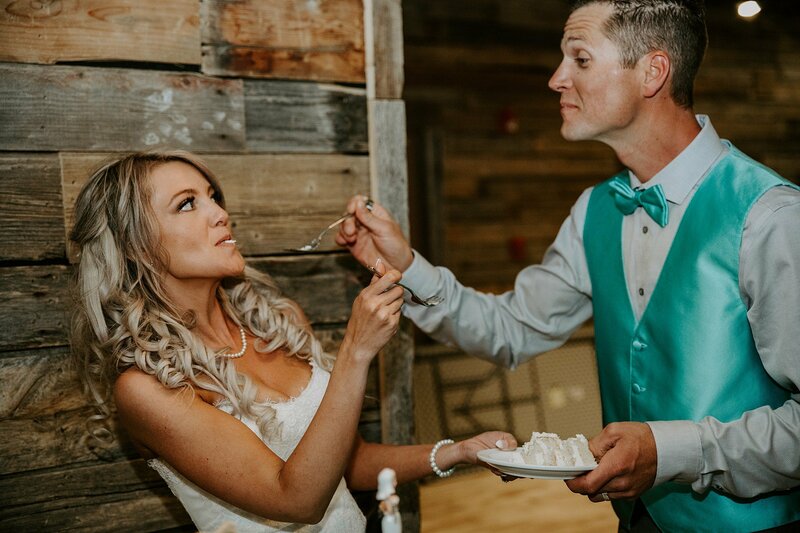 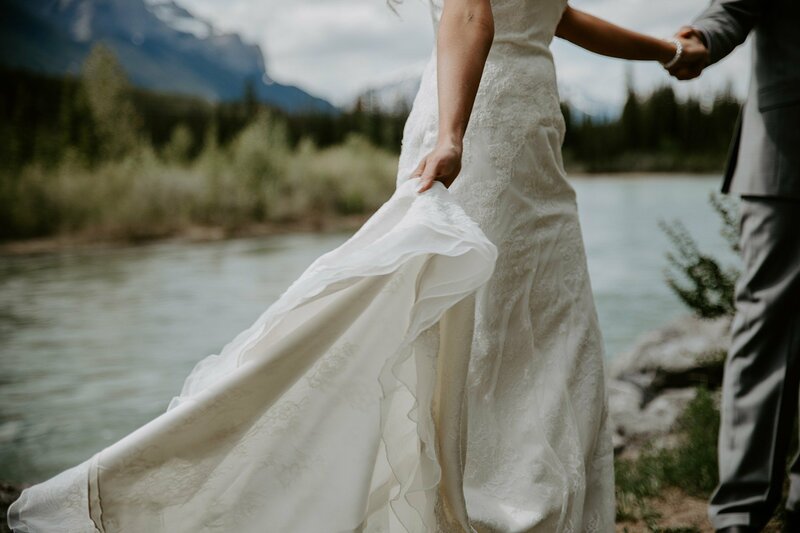 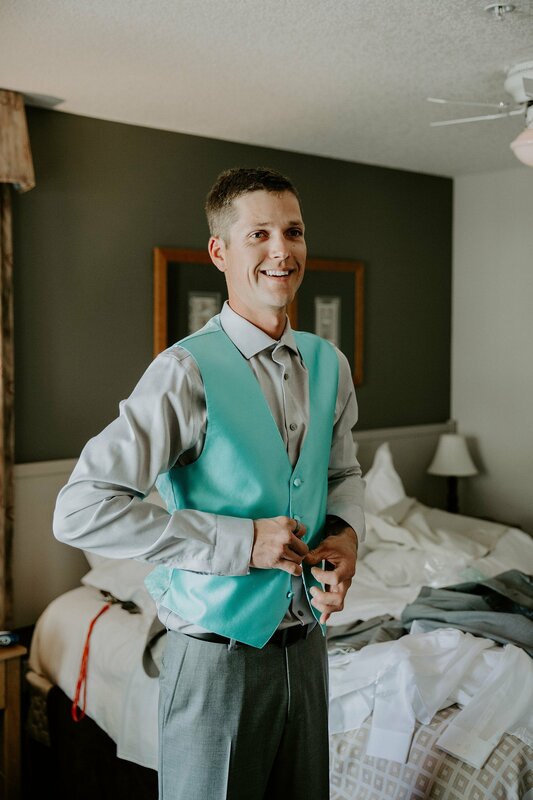 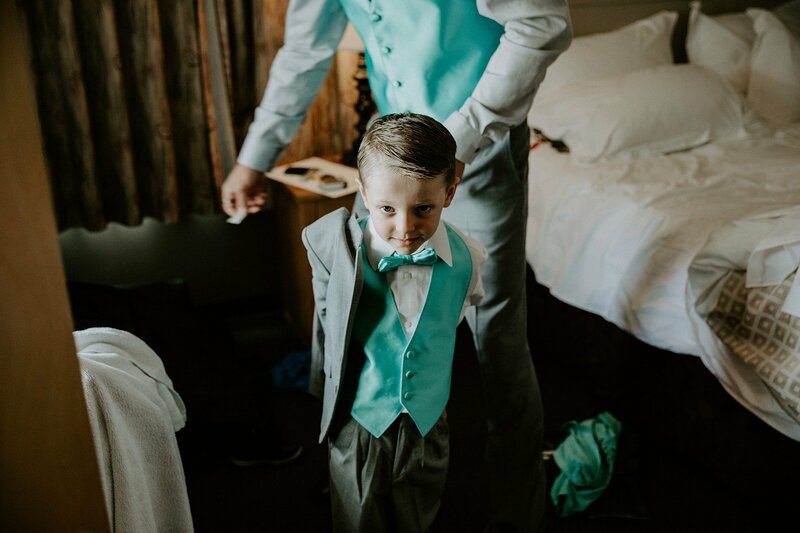 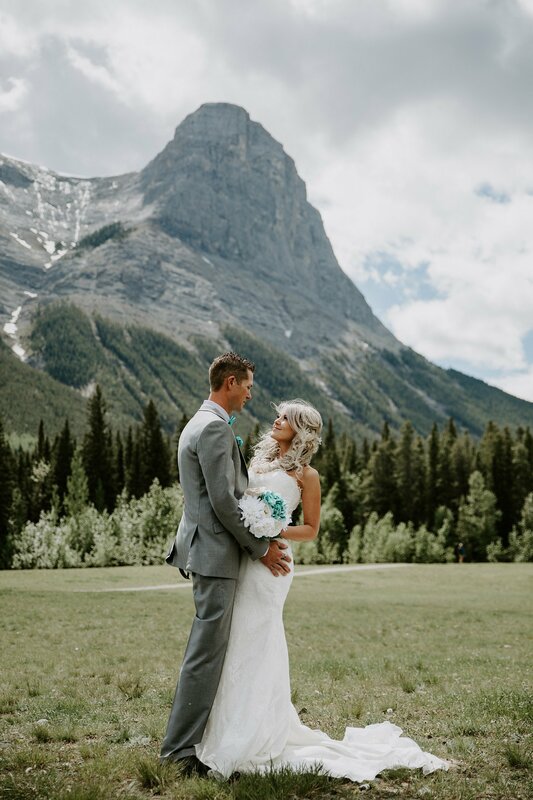 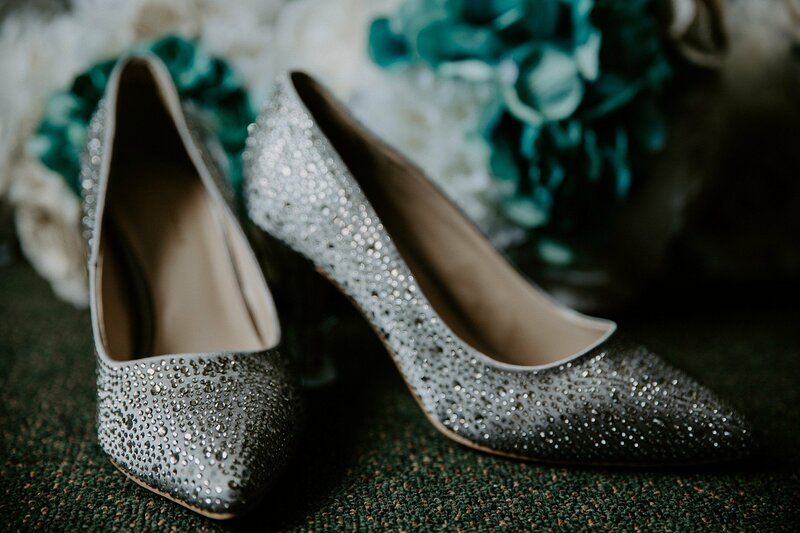 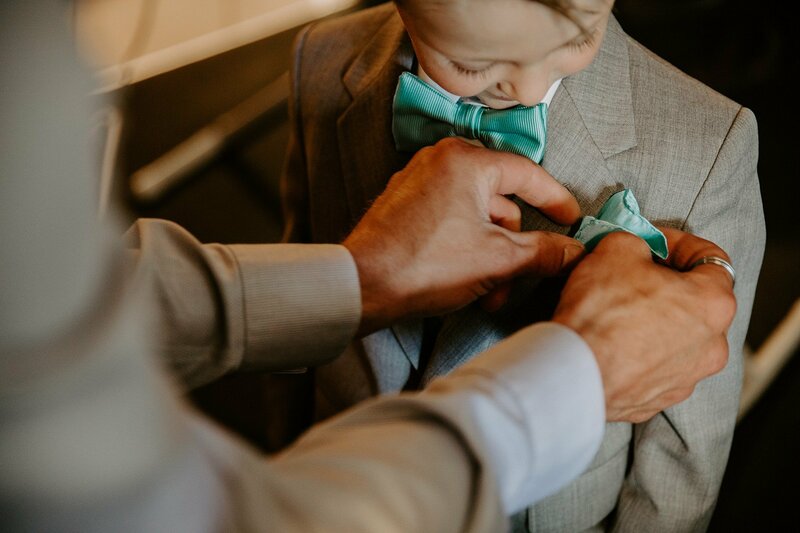 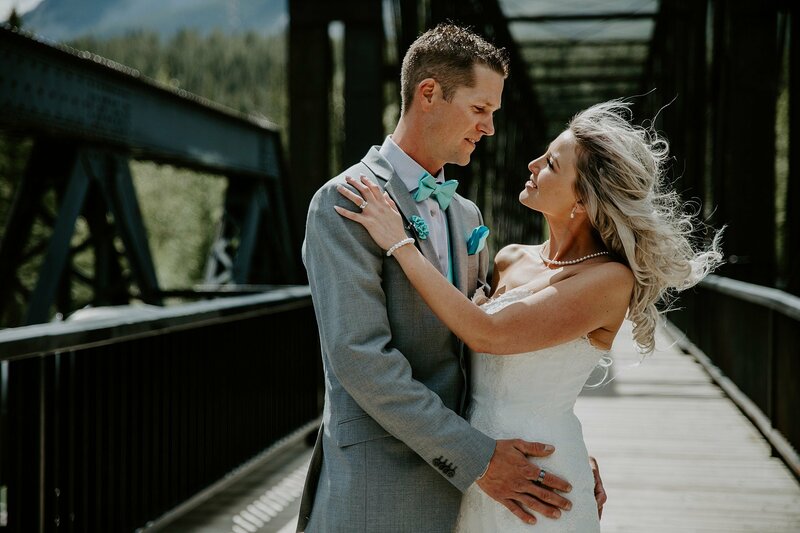 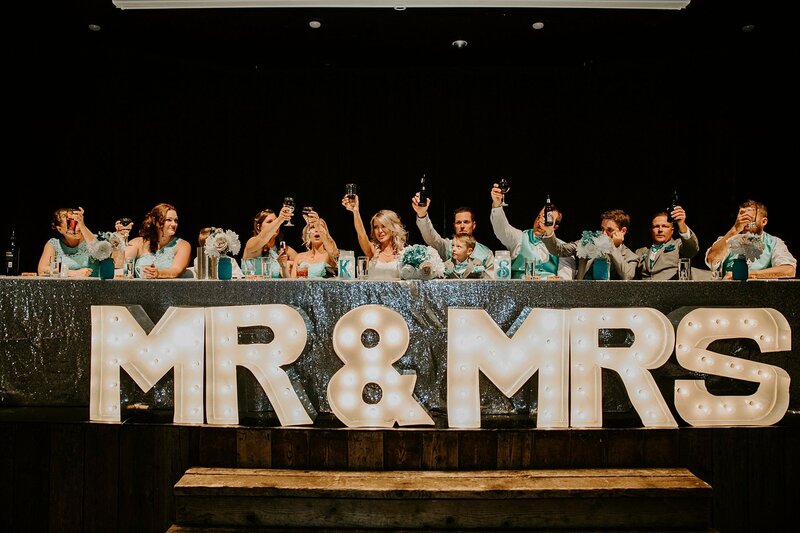 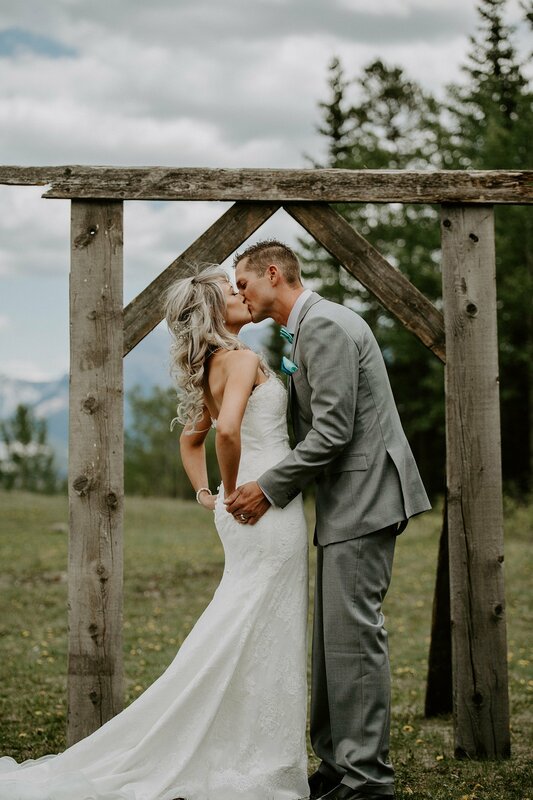 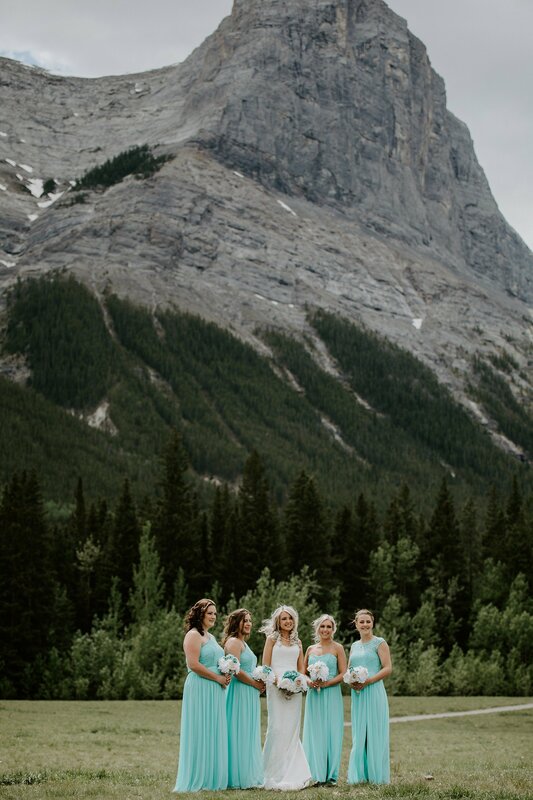 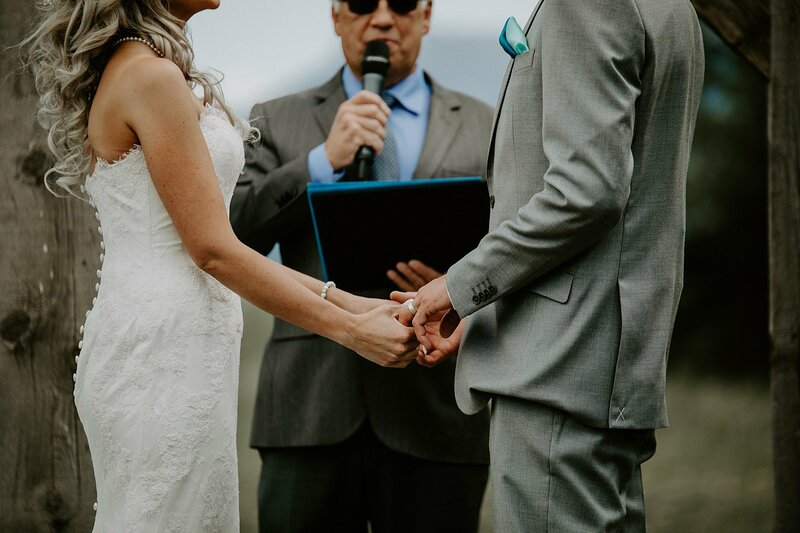 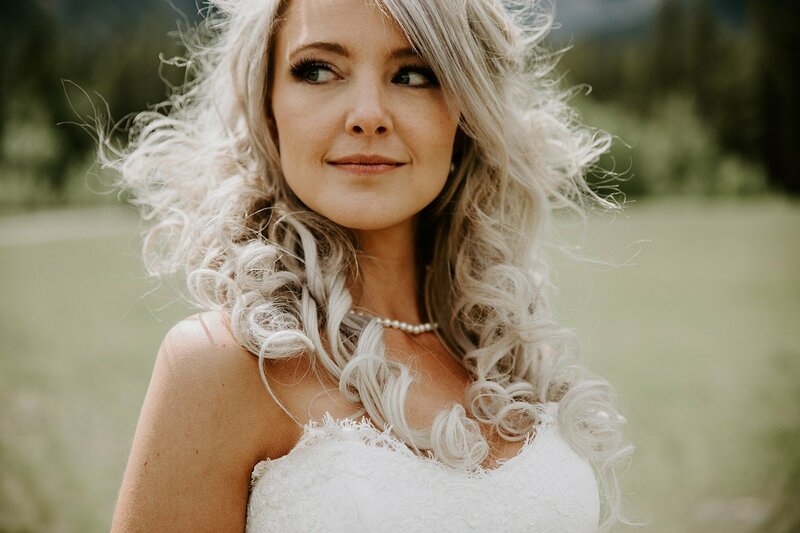 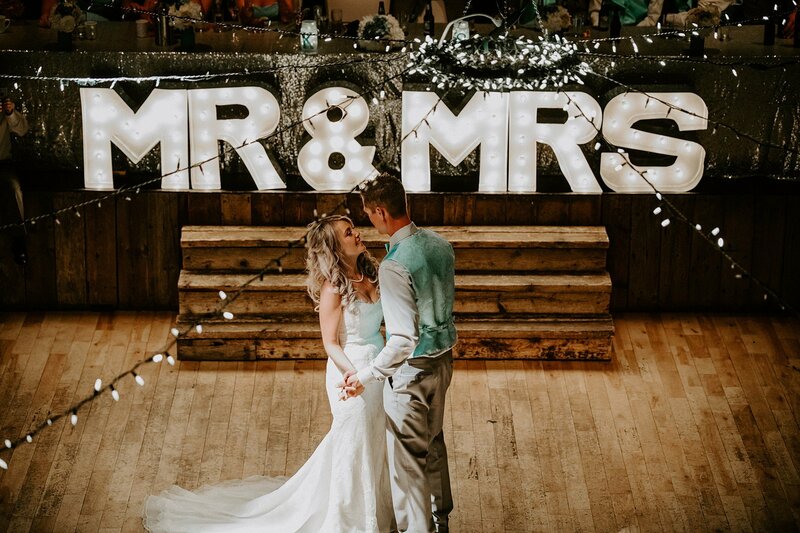 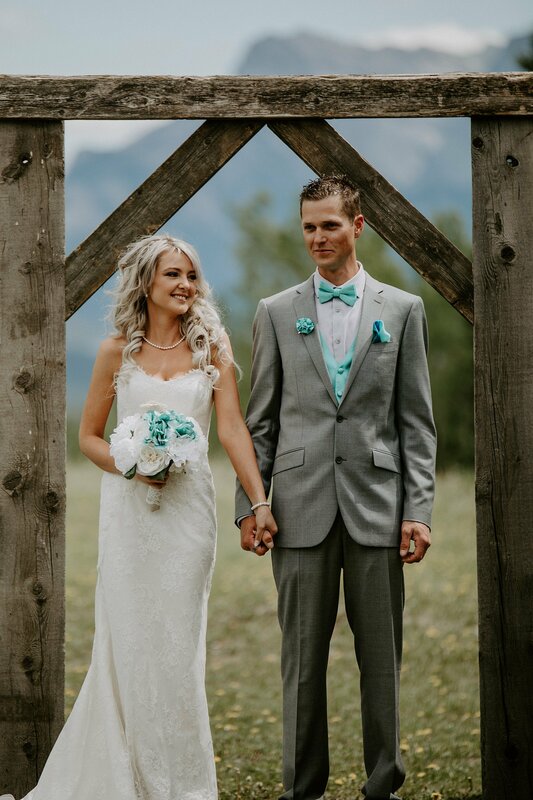 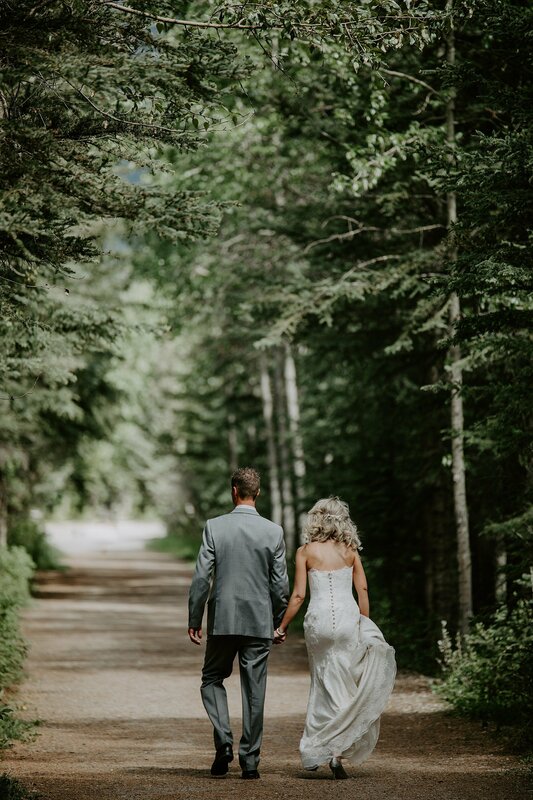 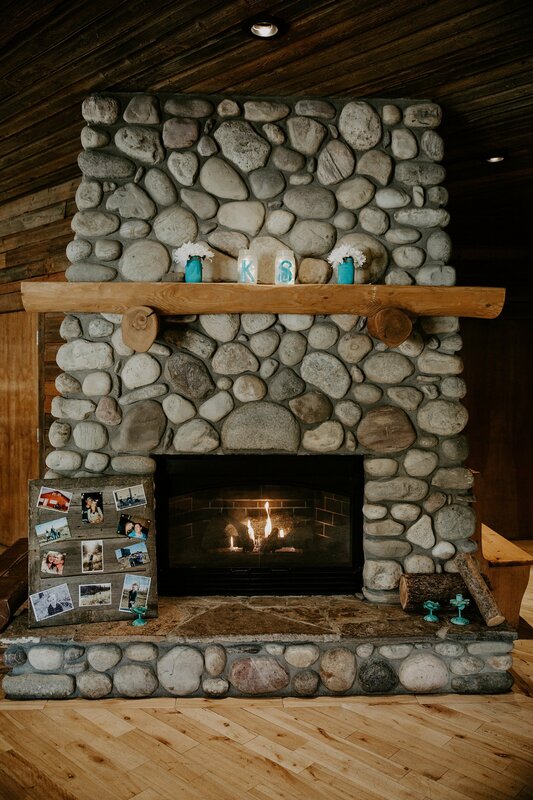 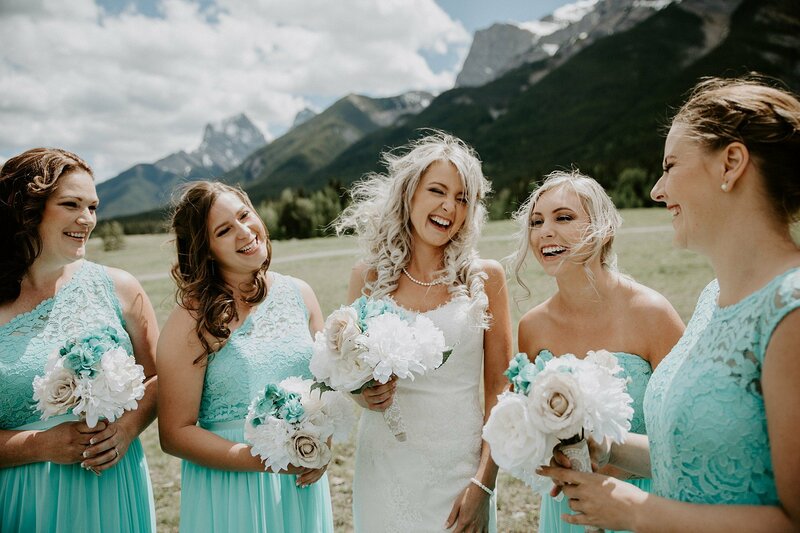 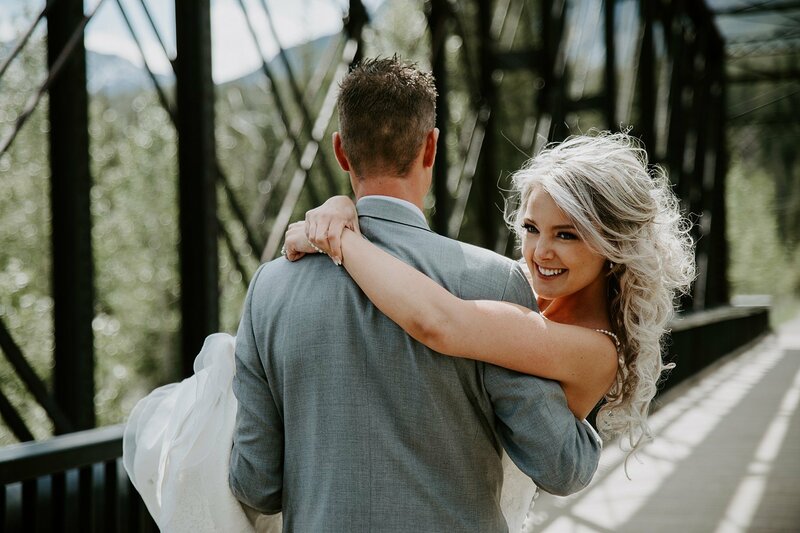 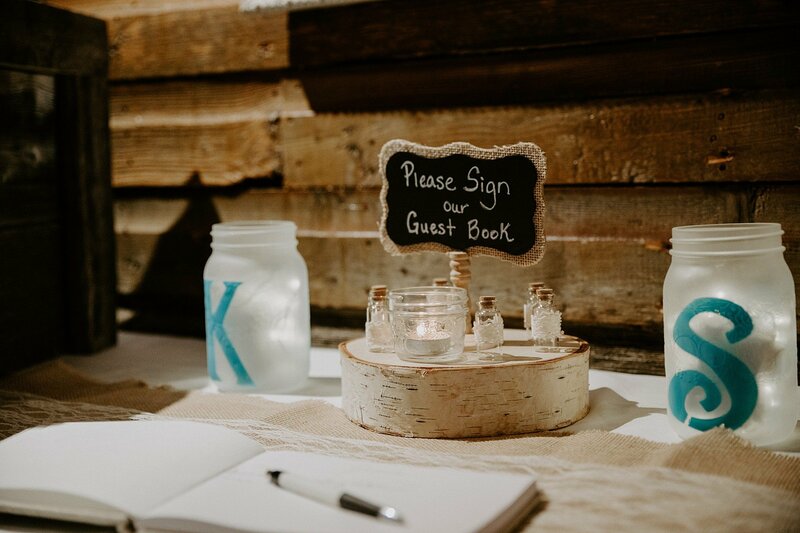 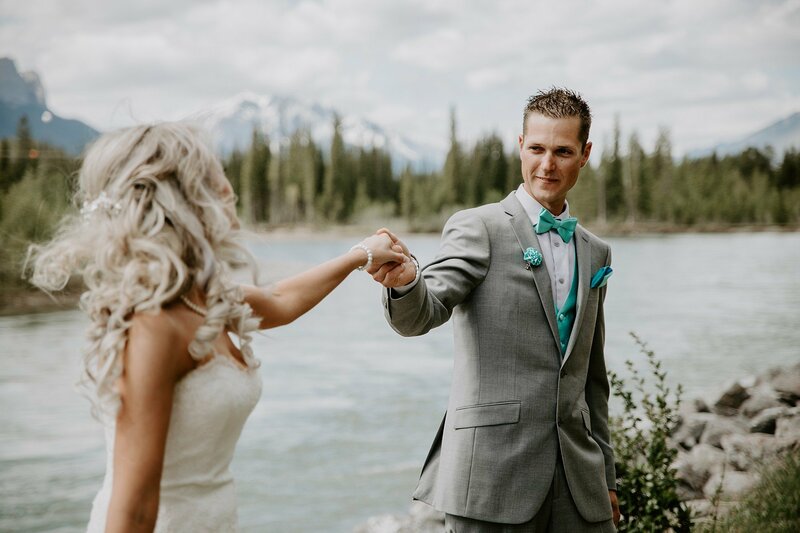 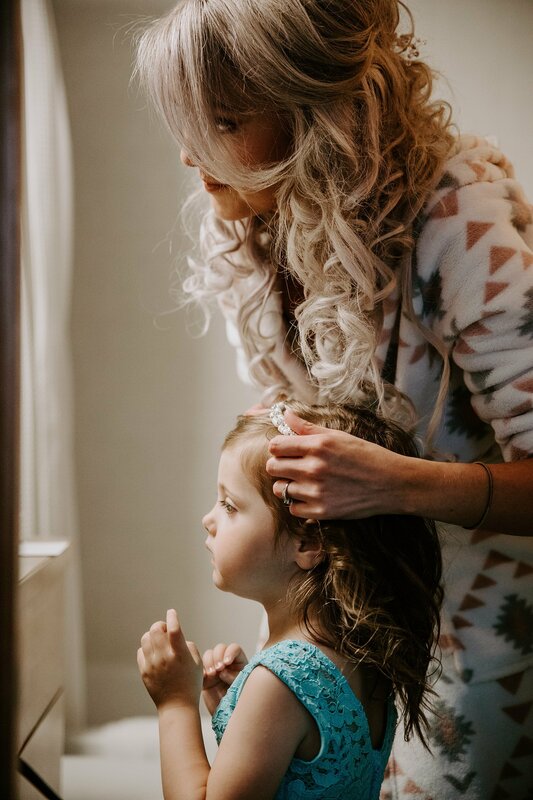 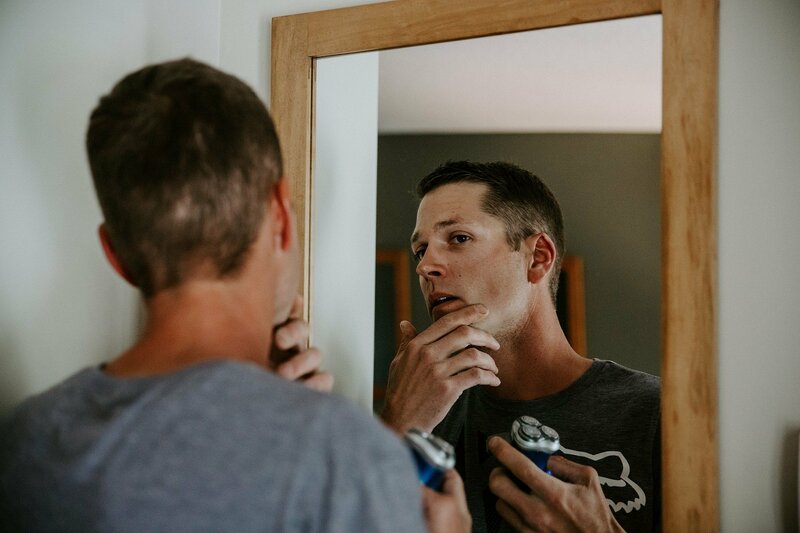 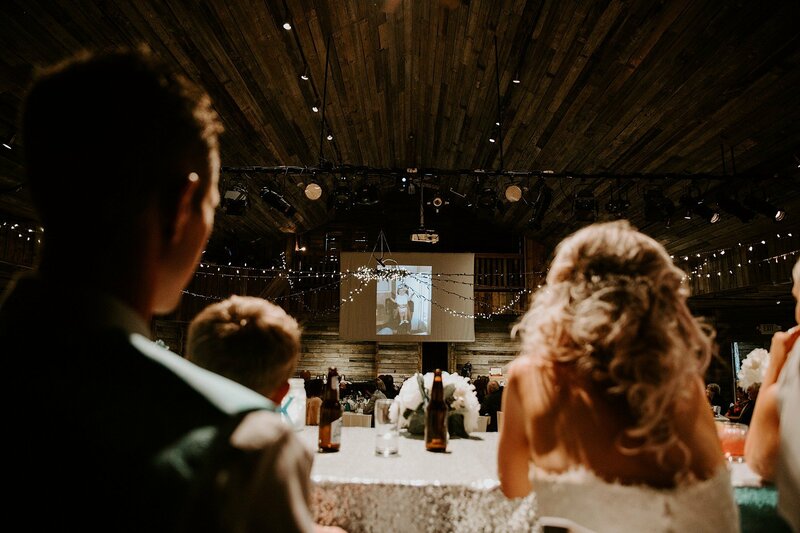 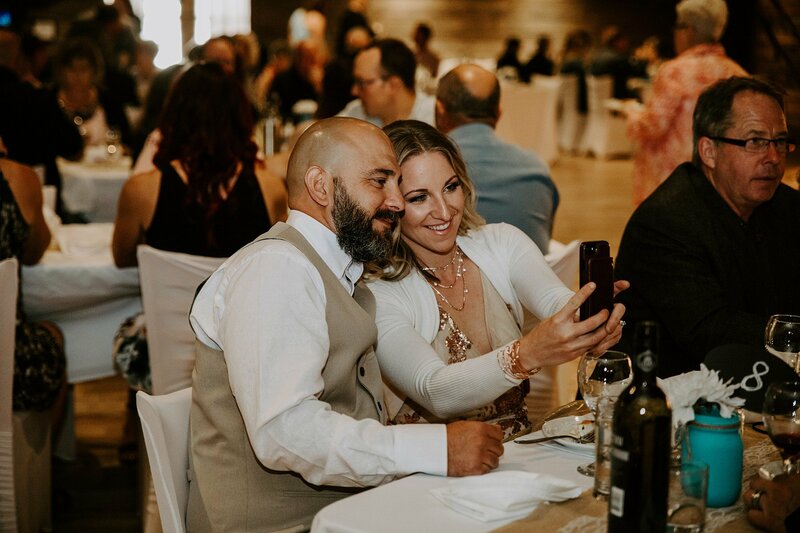 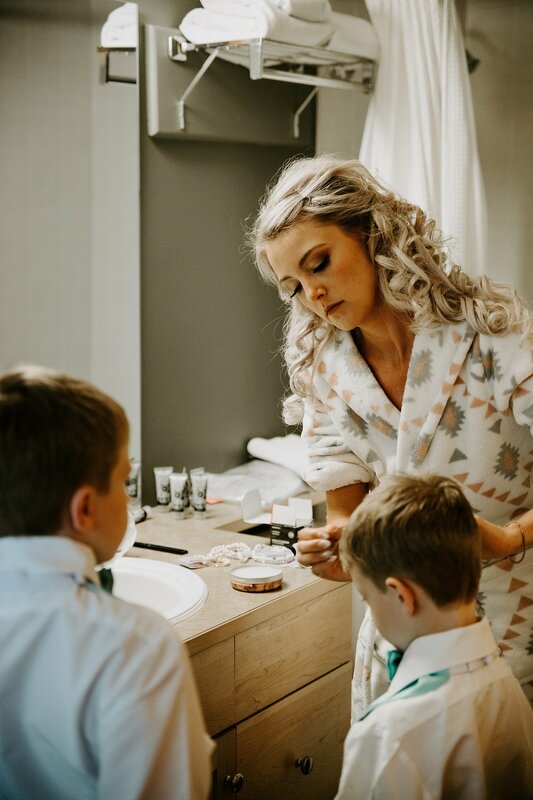 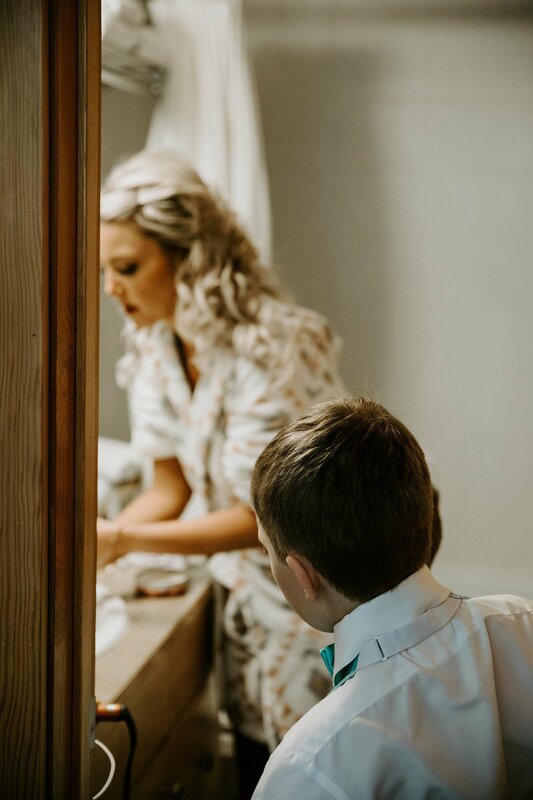 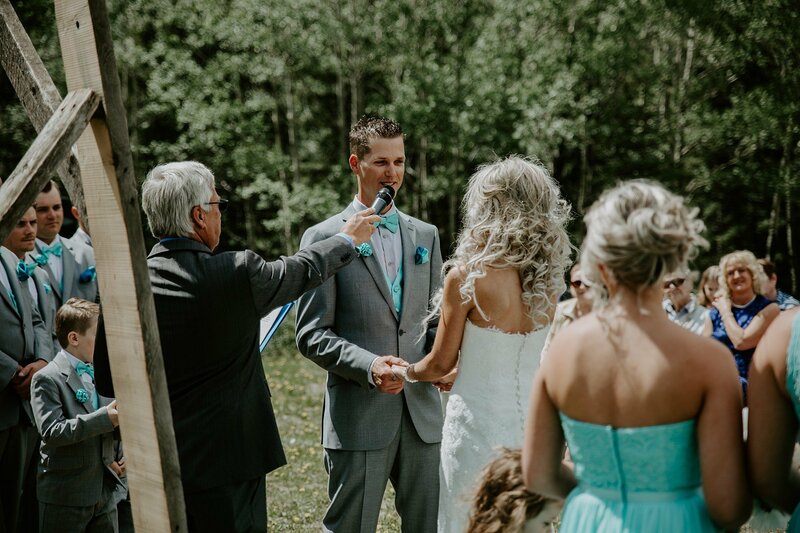 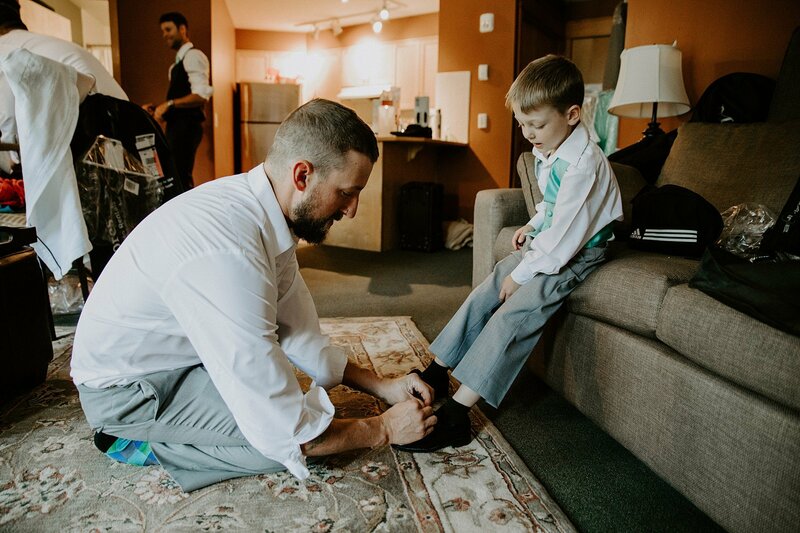 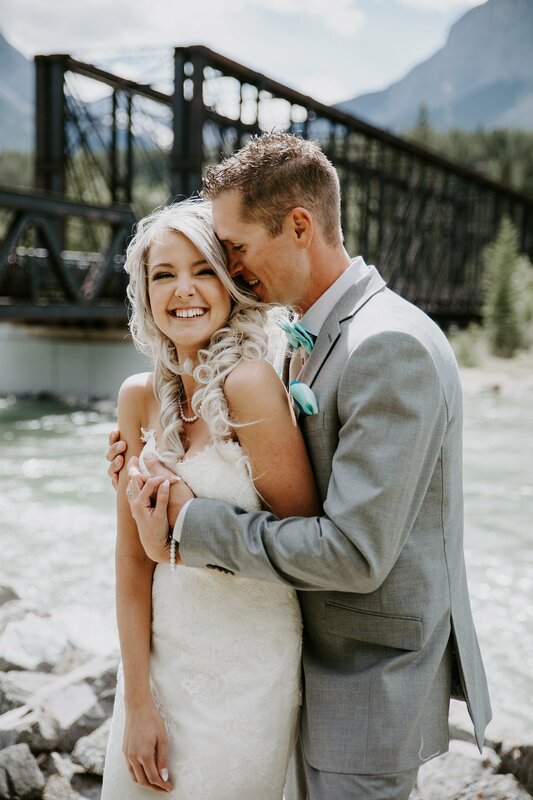 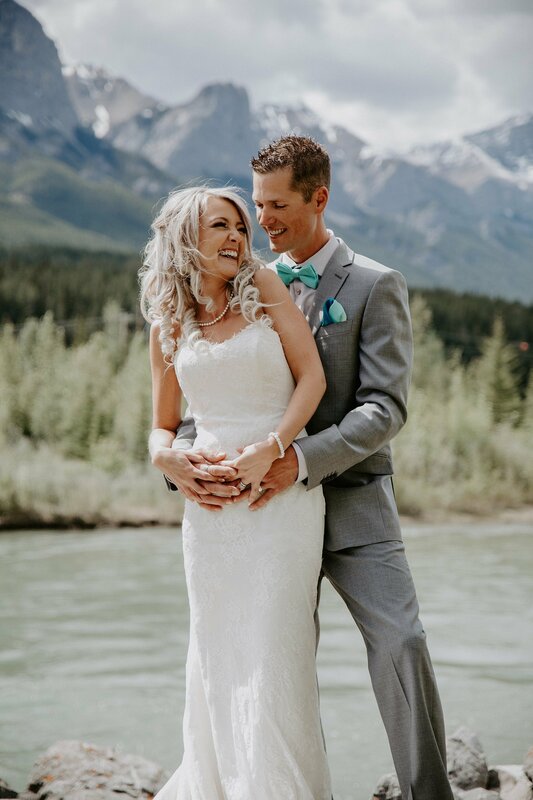 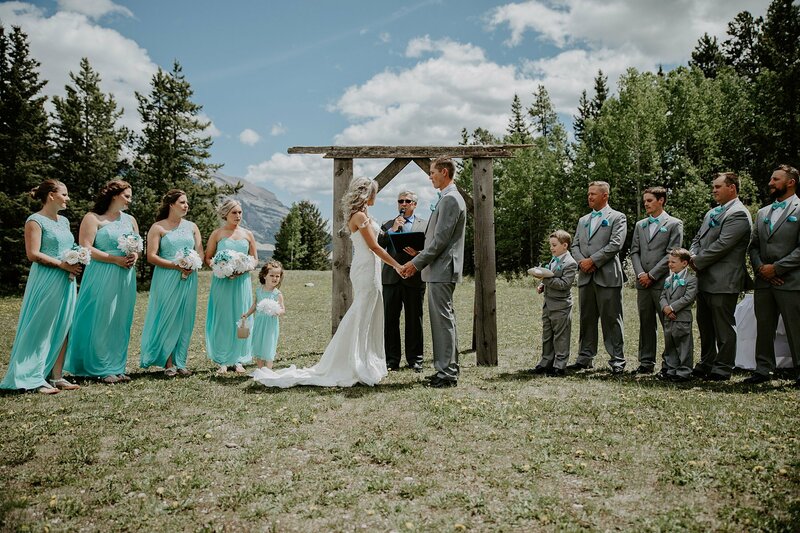 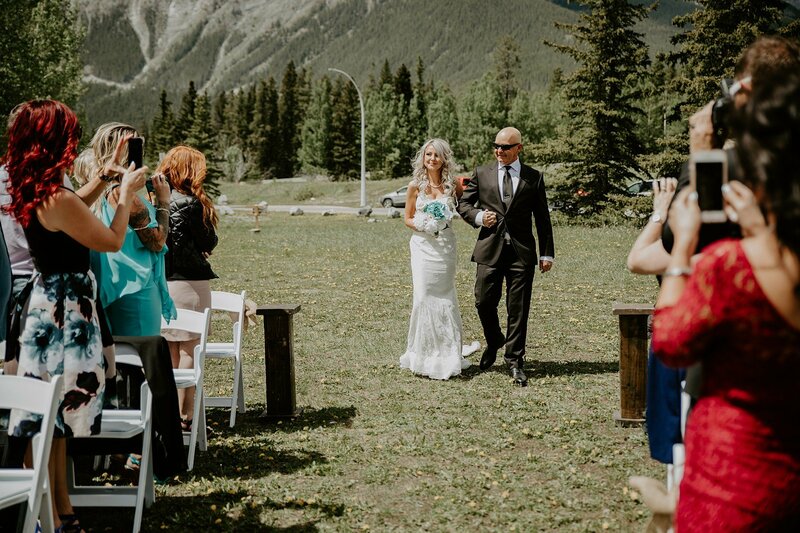 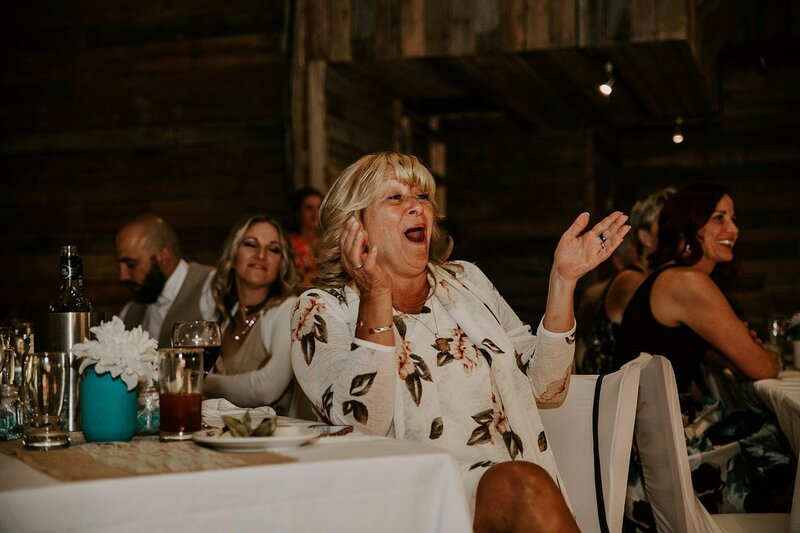 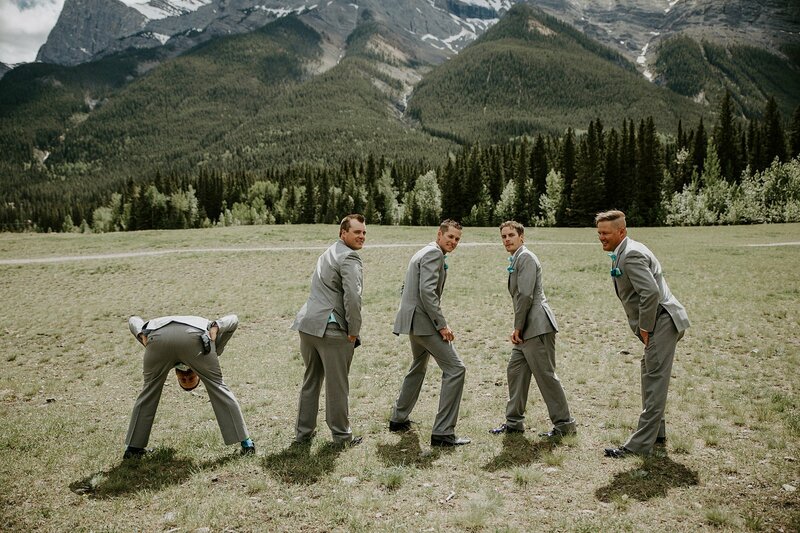 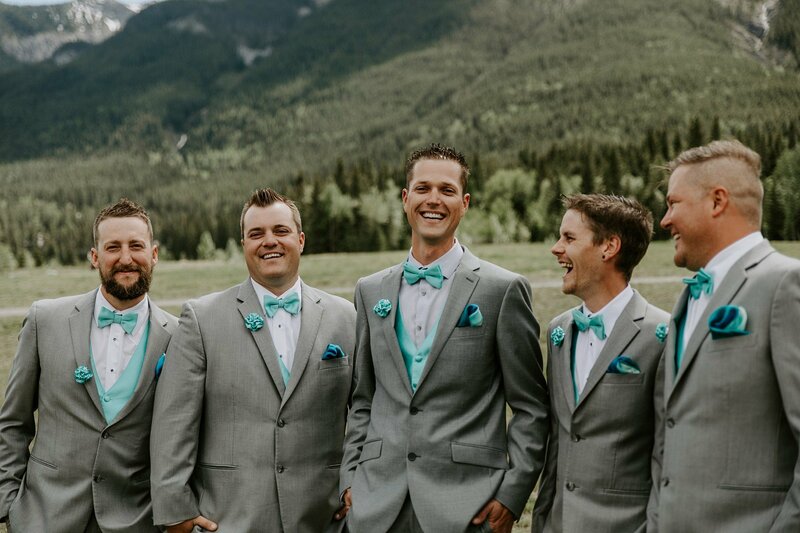 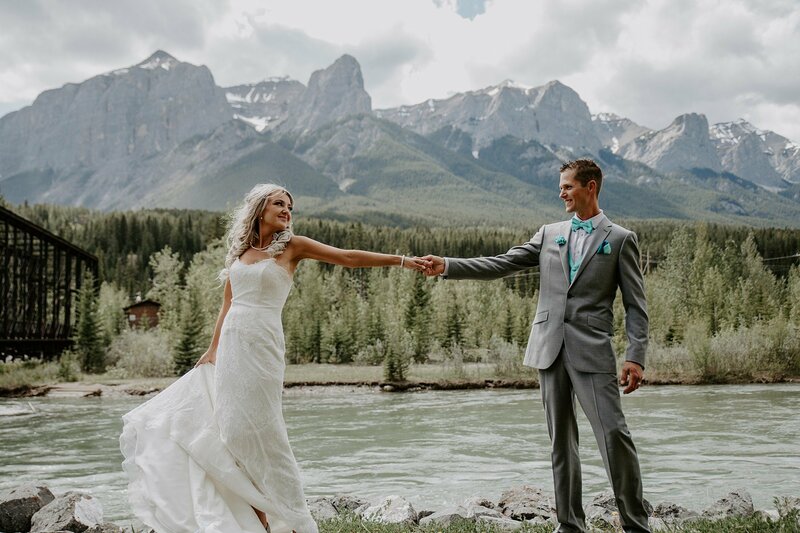 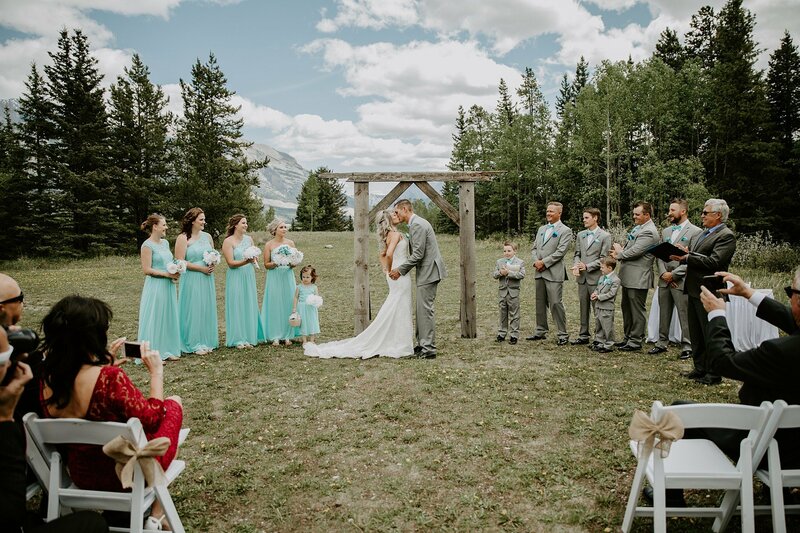 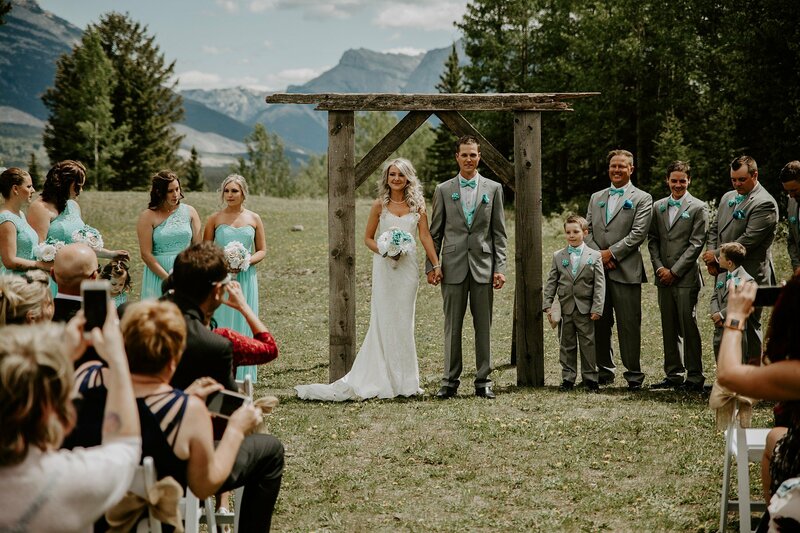 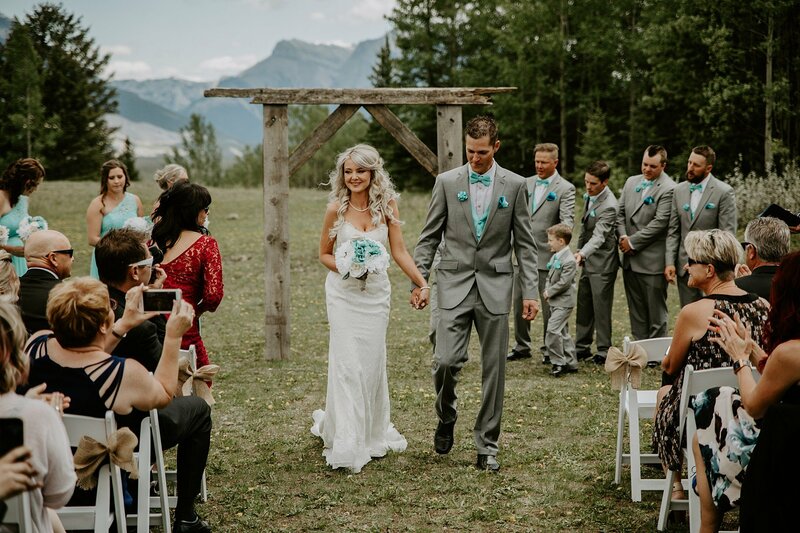 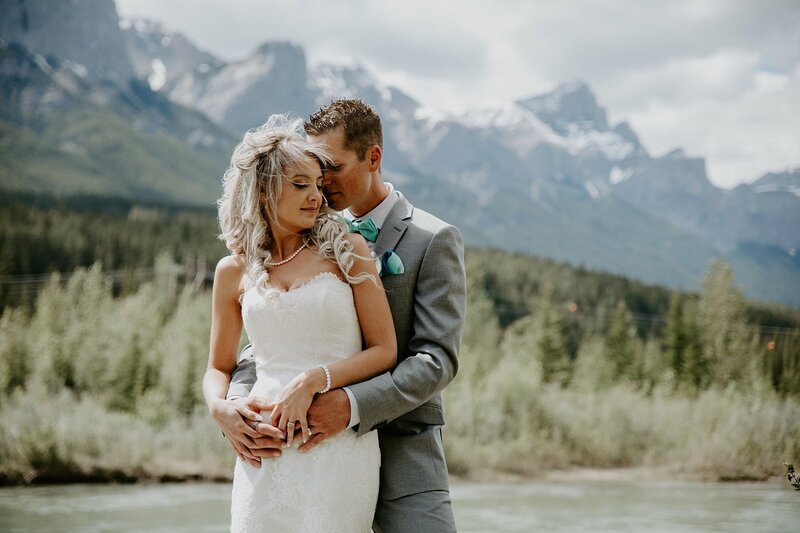 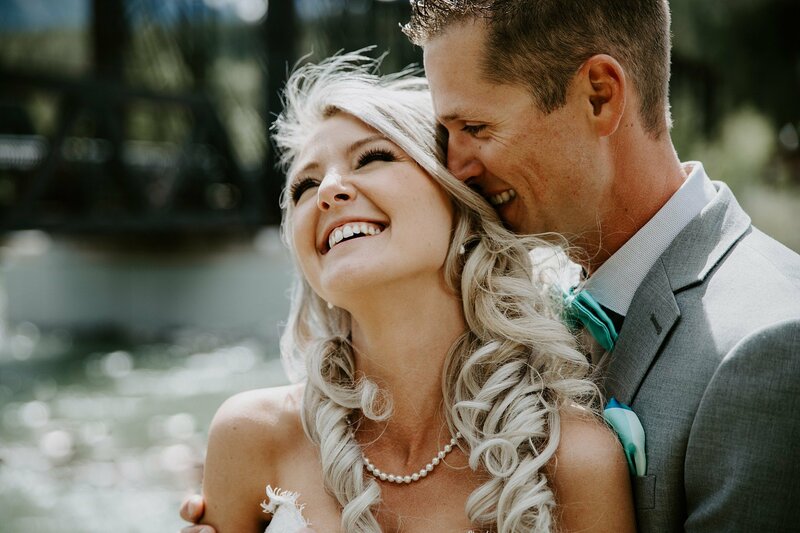 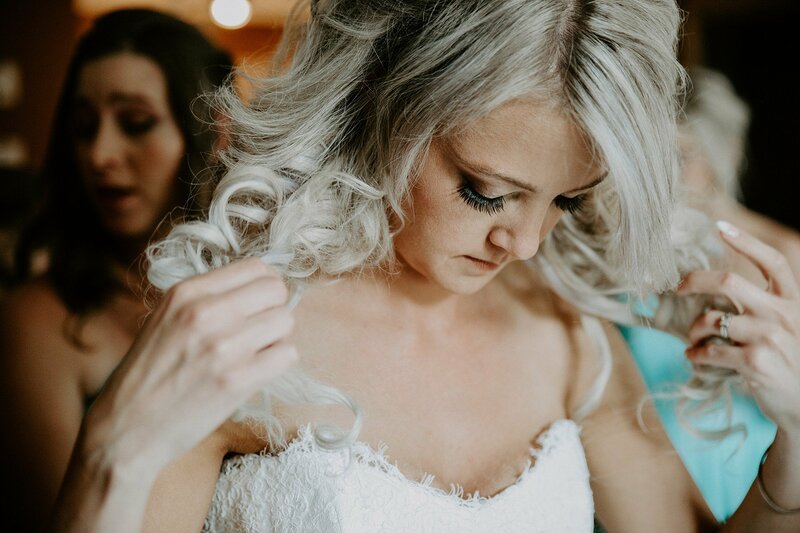 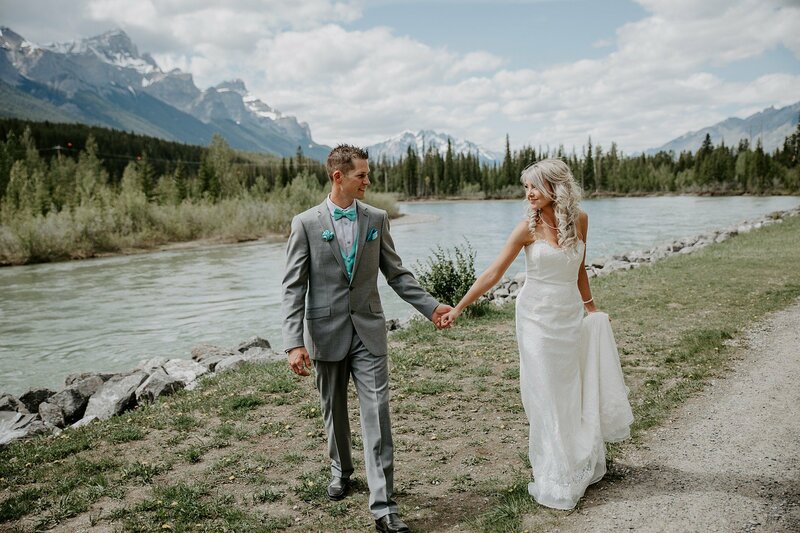 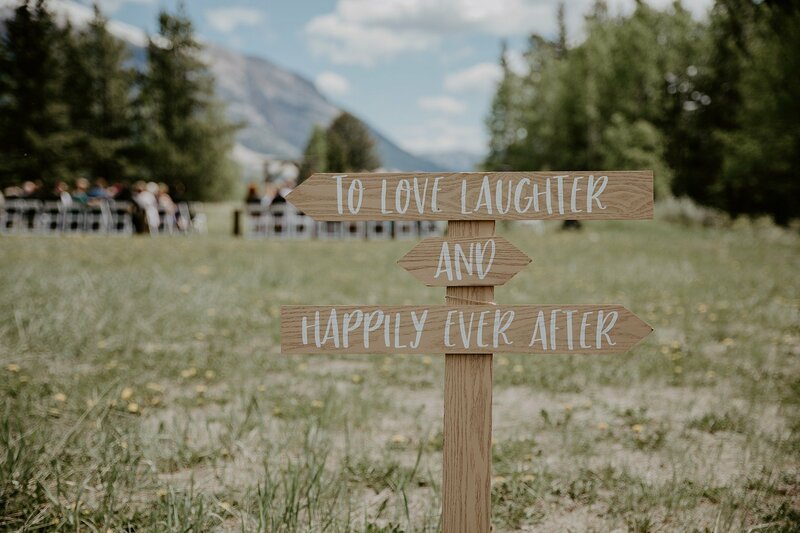 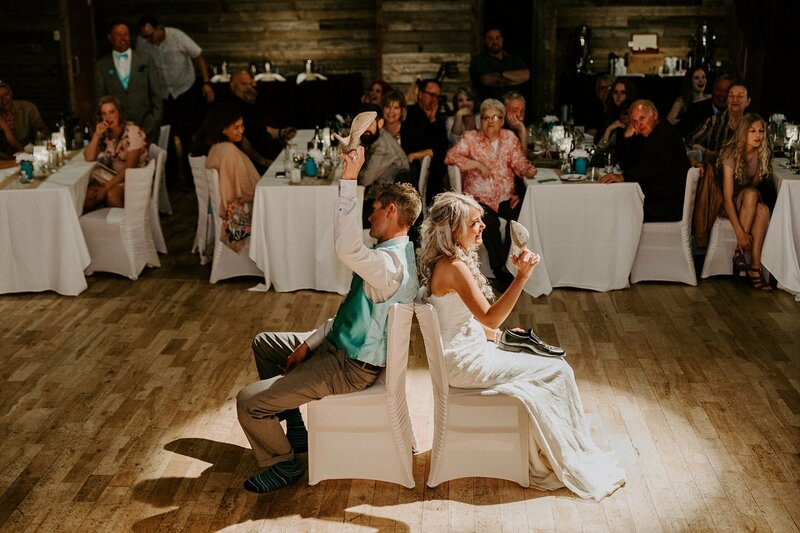 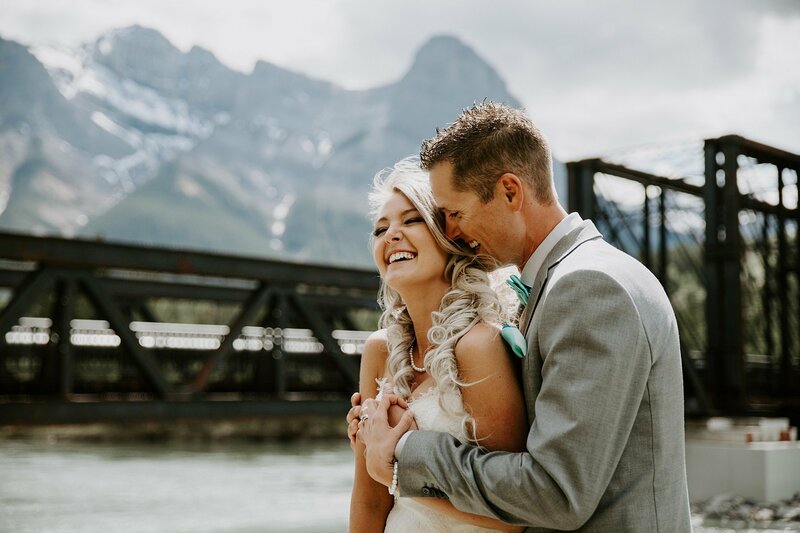 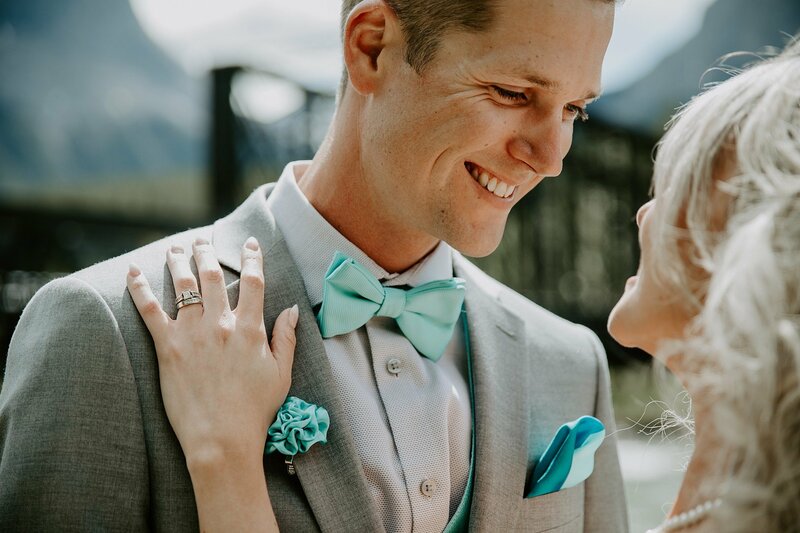 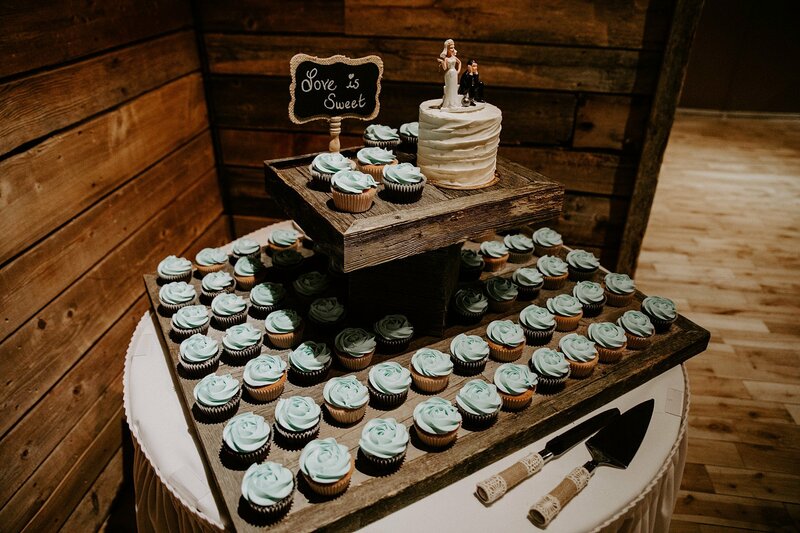 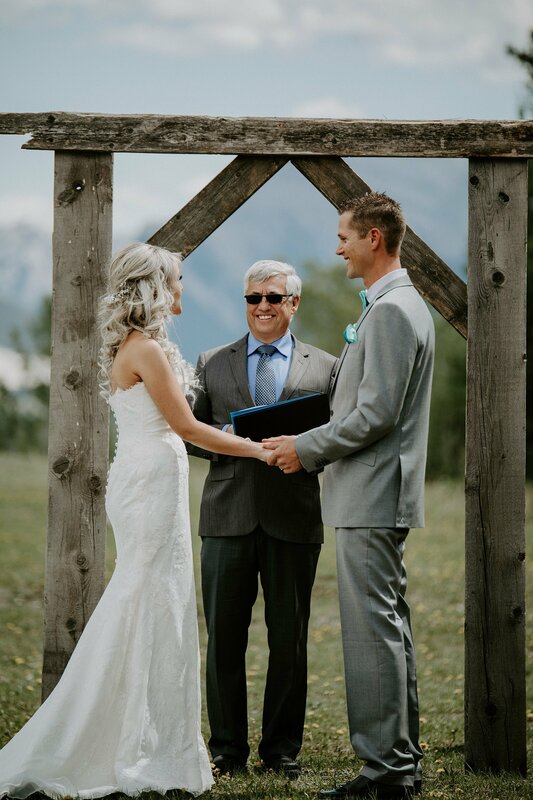 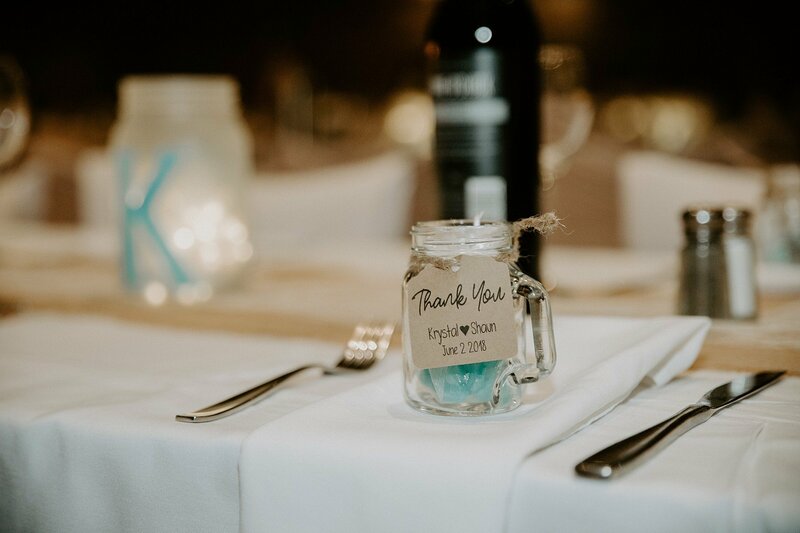 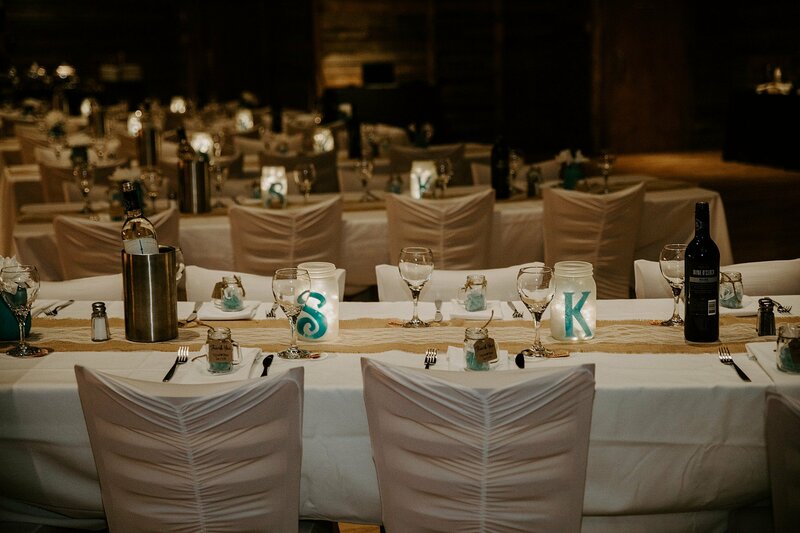 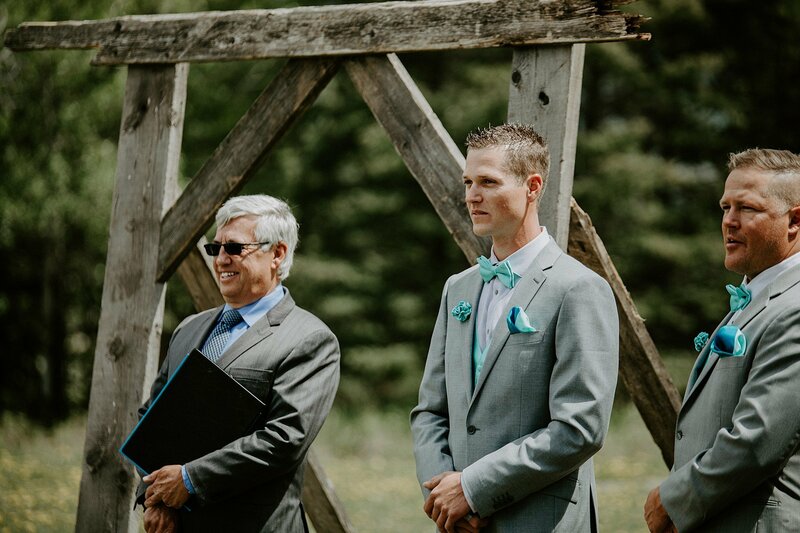 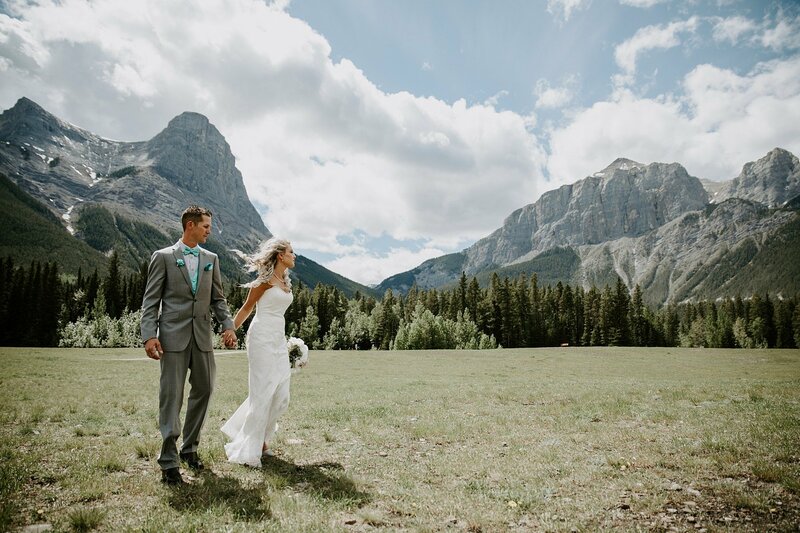 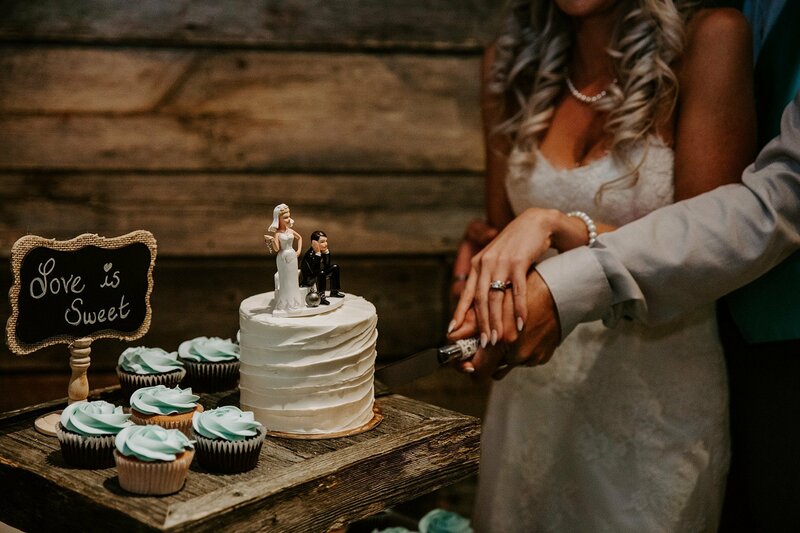 Krystal and Shaun’s Cornerstone Theatre Wedding in Canmore was filled with so much fun – this crew knows how to have a good time! 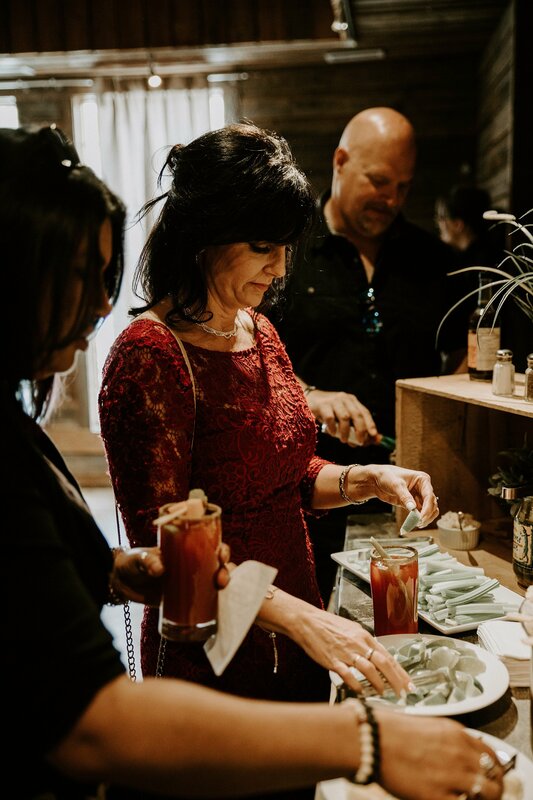 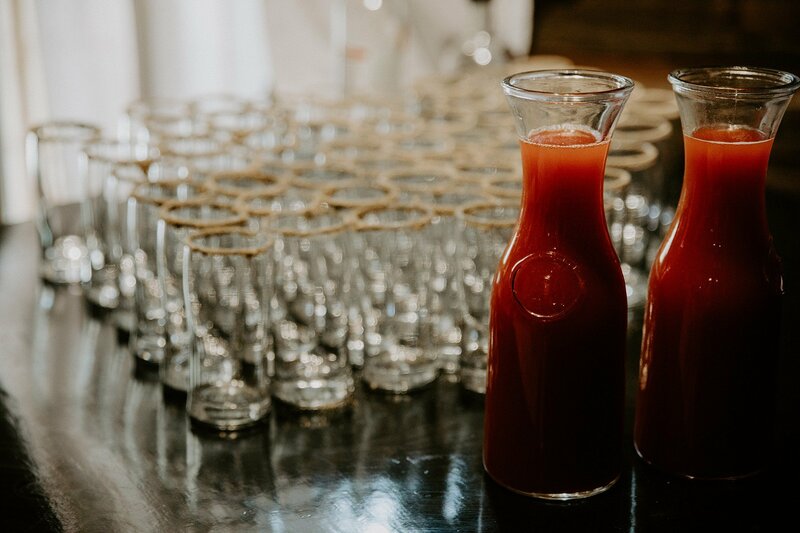 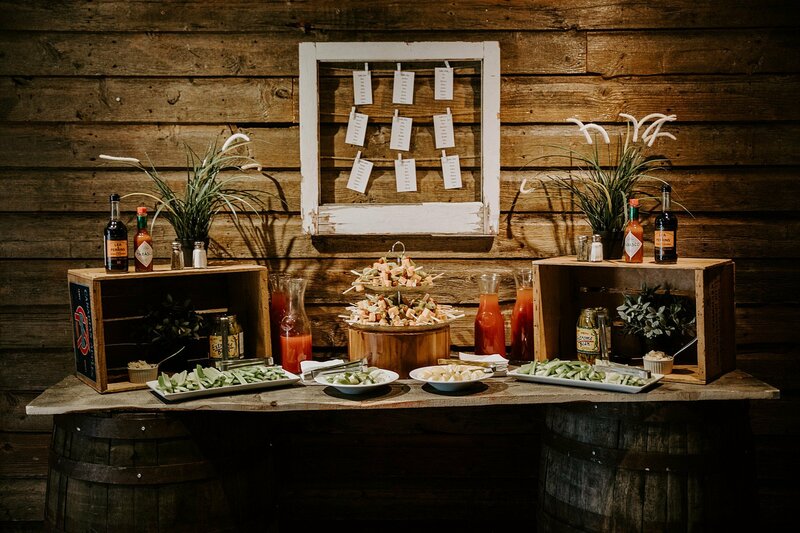 They even welcomed their guests with a DIY Caeser station to start the evening off right. 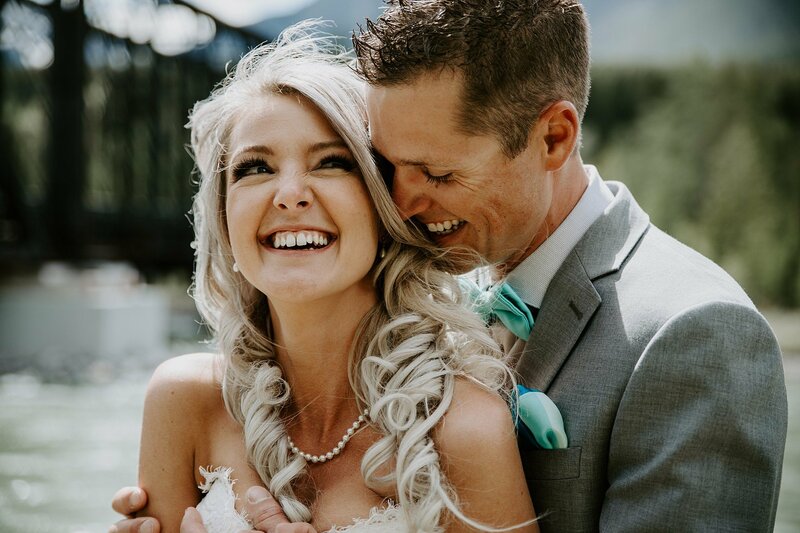 The below is just a sample of their day, to view the entire album, click here. 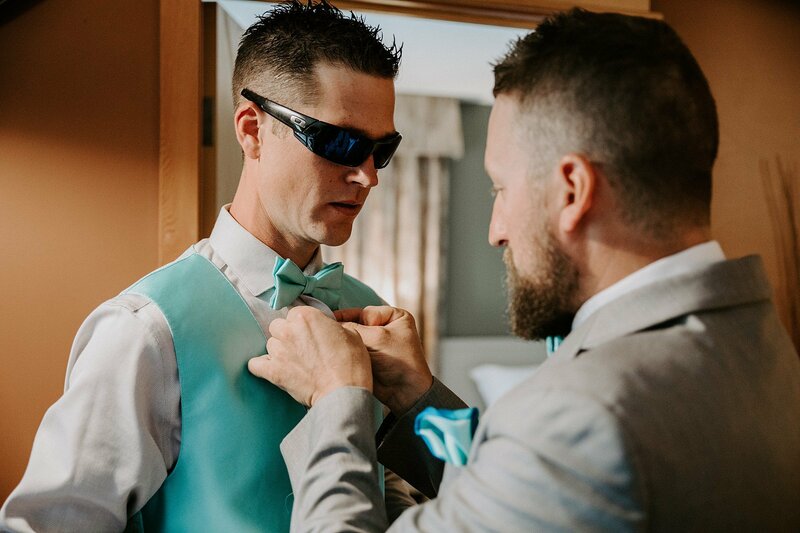 Shaun picked the colour because he likes it. 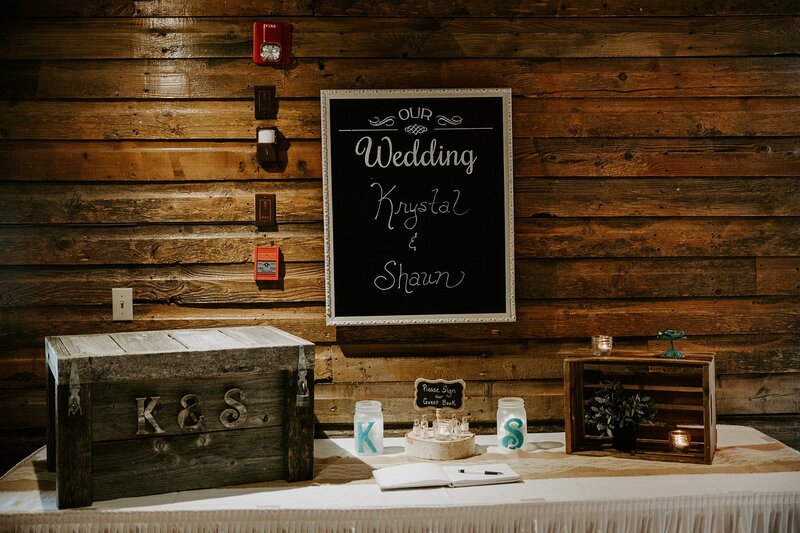 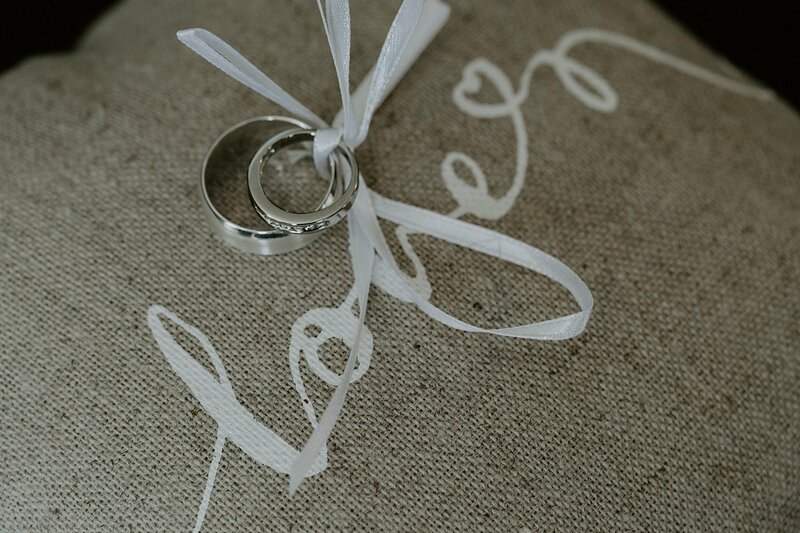 And rustic theme because I liked it. 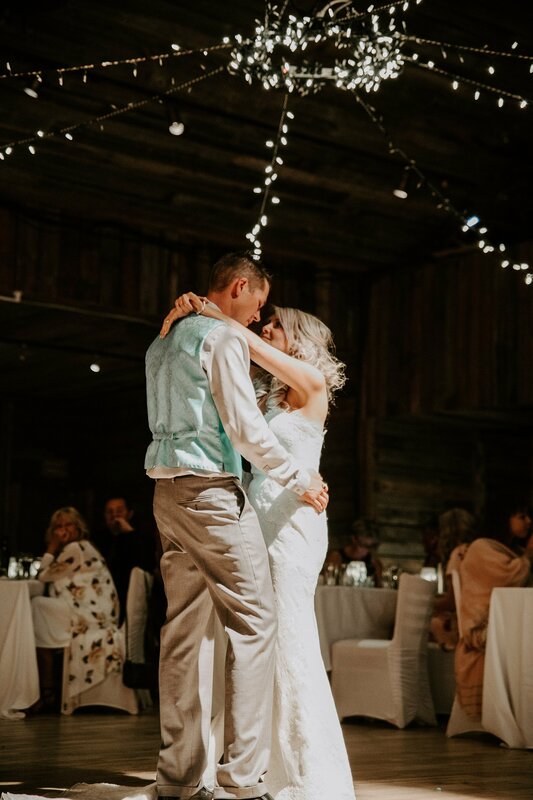 We both enjoy 80s to early 90s music. 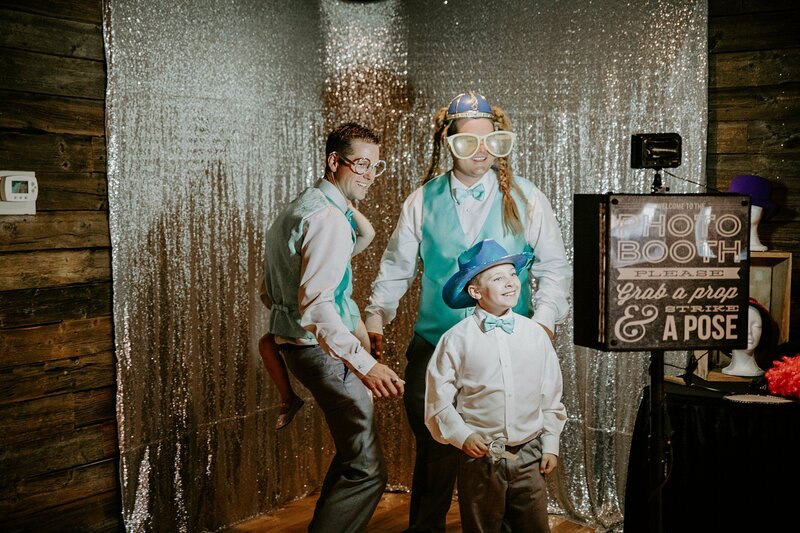  It’s what we grow up on. 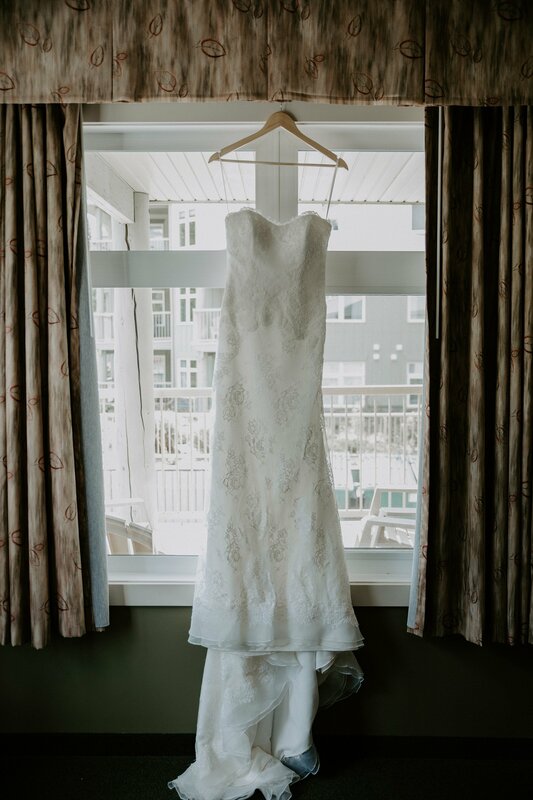 My dress because I got the old lace. 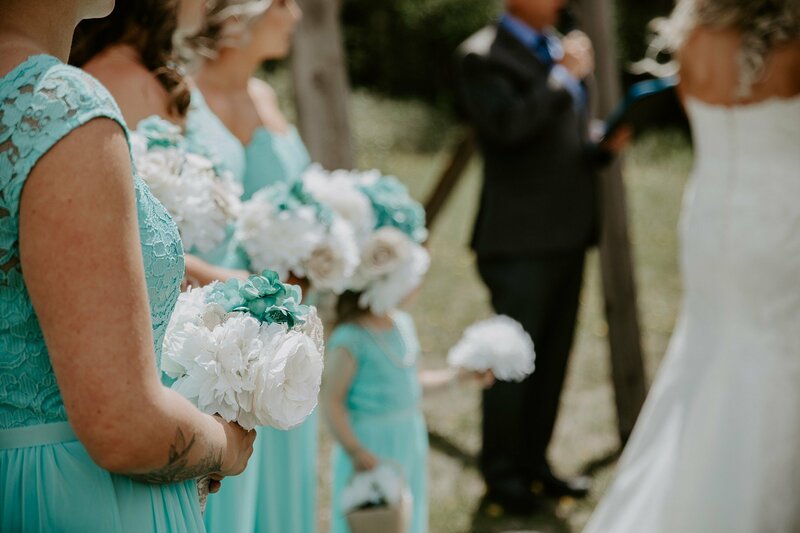 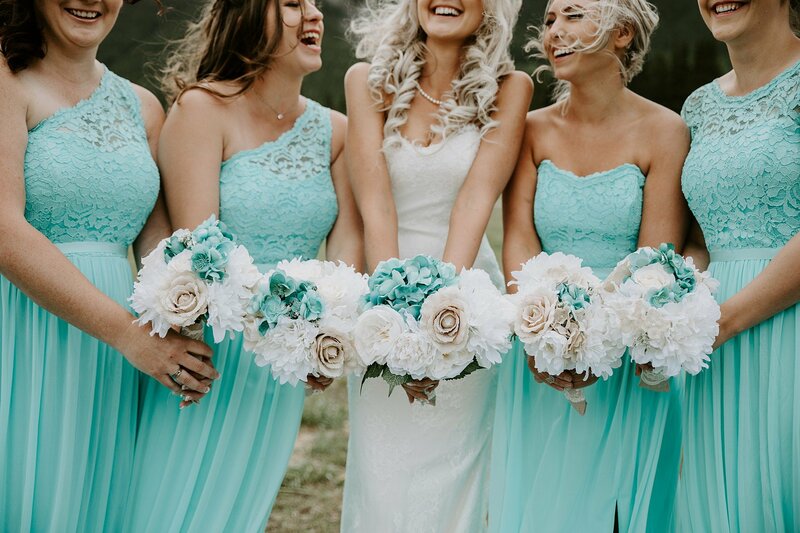 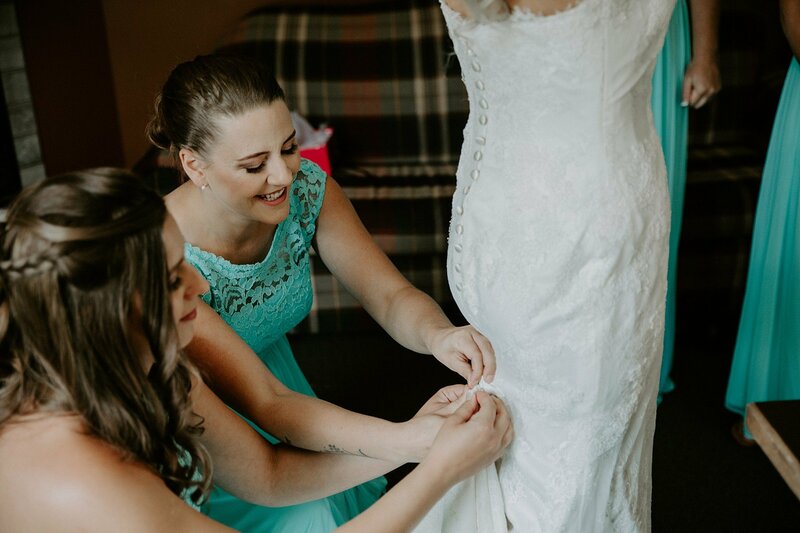 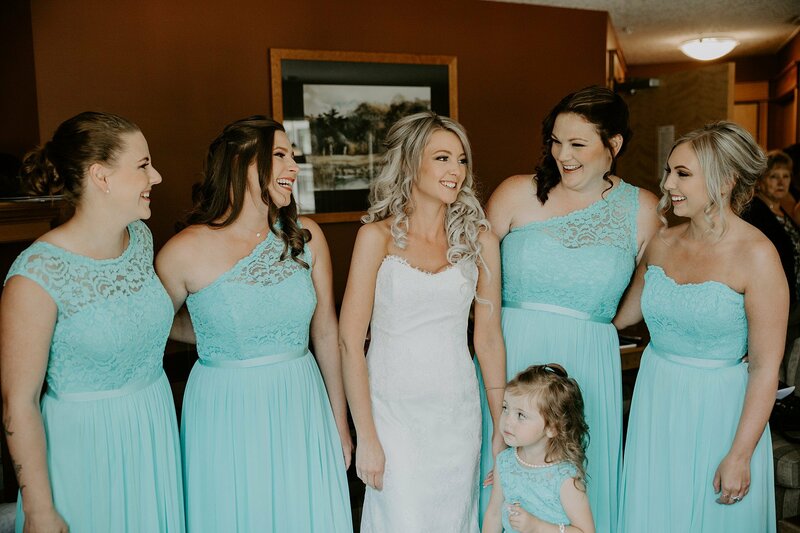 My bridesmaids dresses because they were all a little different. 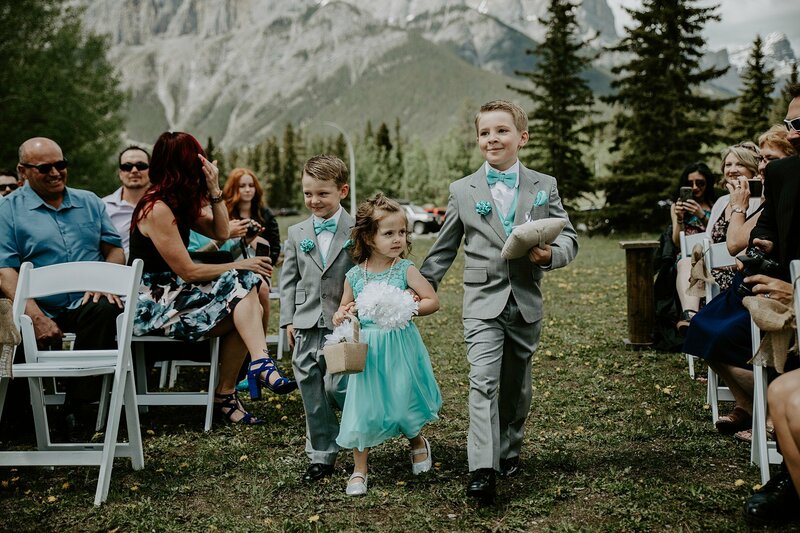 And the kids all dressed up. 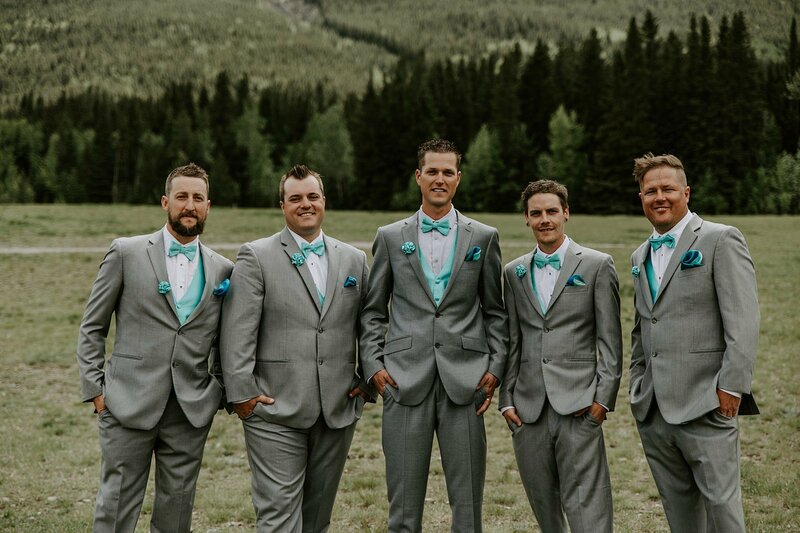 Some day lol maybe winter.